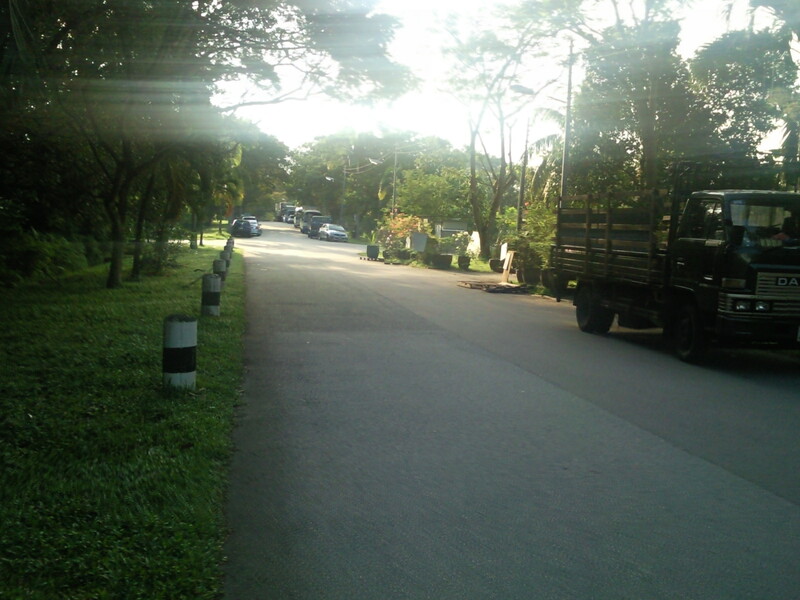 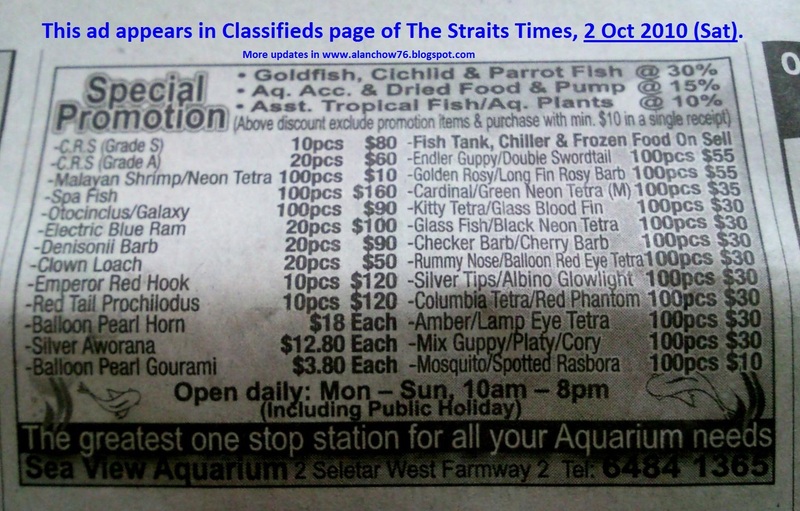 Was there with my retiree friend after spotting an ad in The Classifieds of The Straits Times on 2 Oct (Sat) which attracted us to take a super-long 1.5 hour journey from Jurong down to Seletar. 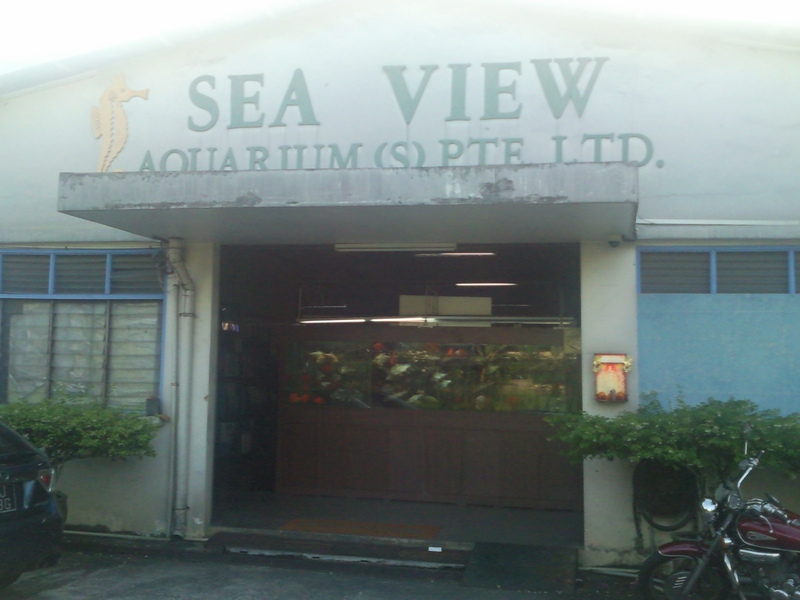 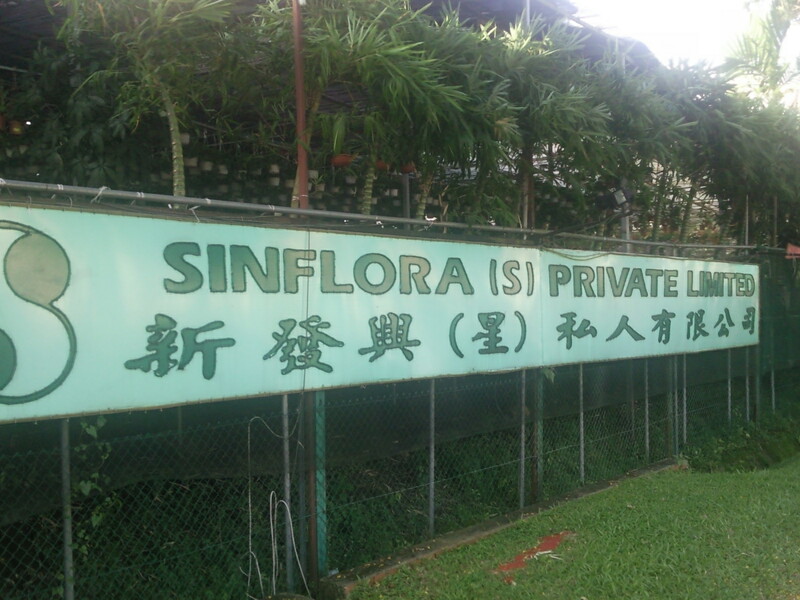 Before attempting to go down, I actually called up Seaview Aquarium and a sweet lady's voice greeted me who directed me to take a SBS Bus 86 opposite Yio Chu Kang Mrt huh, then u see the Sin Flora nursery and you walk about 5mins into our farm. 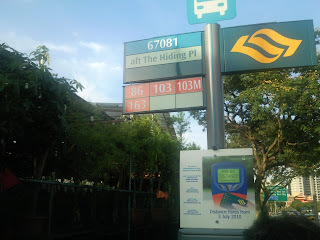 She also assured me its not very far from the nursery that prompted us to make our way there by our Singapore's efficient Sbs bus transport system. 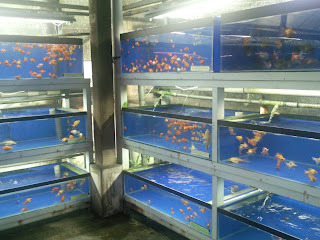 We toured around the farm for the first time and I was personally impressed with the huge stocks of tropical fishes and shrimps at very afforable prices of around 60cents/pc. 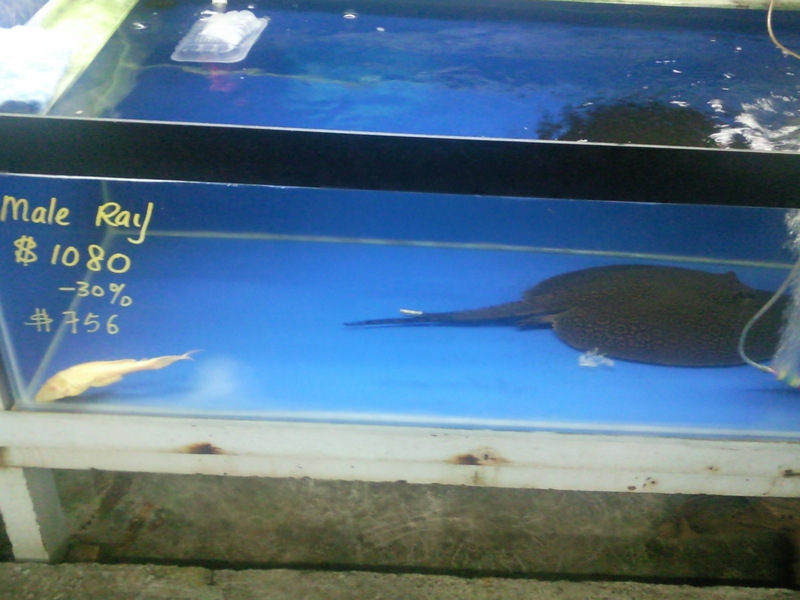 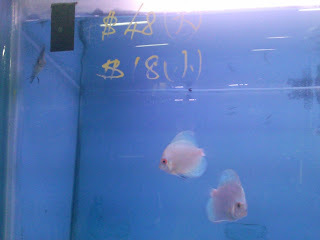 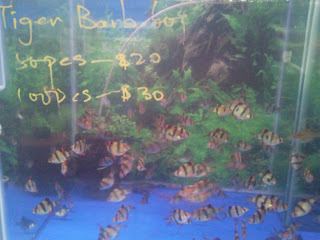 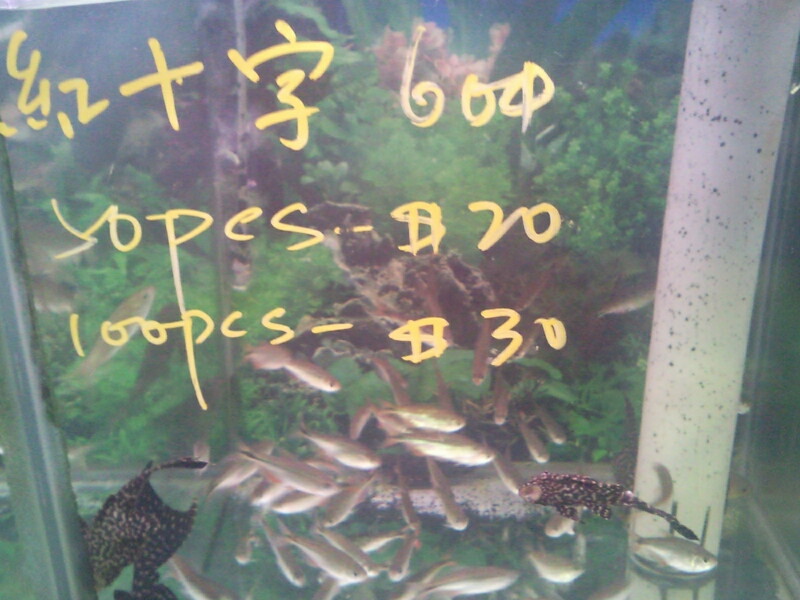 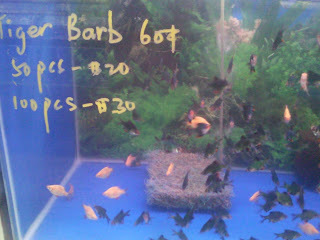 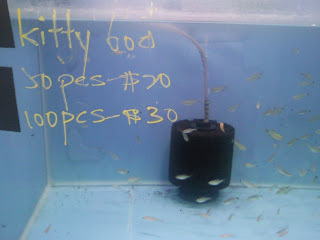 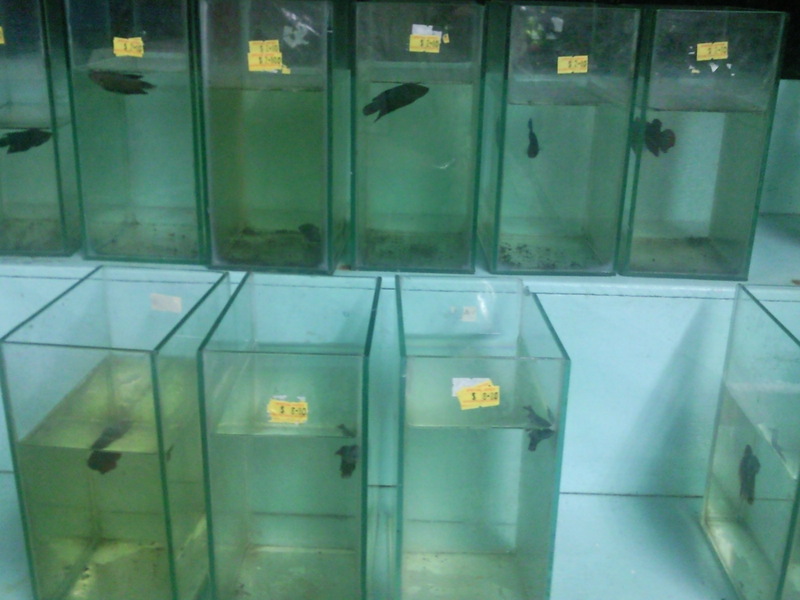 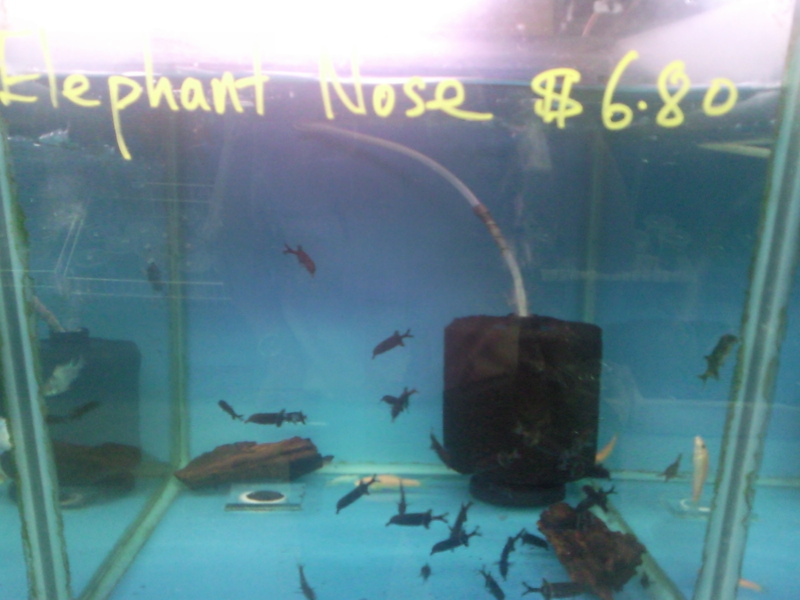 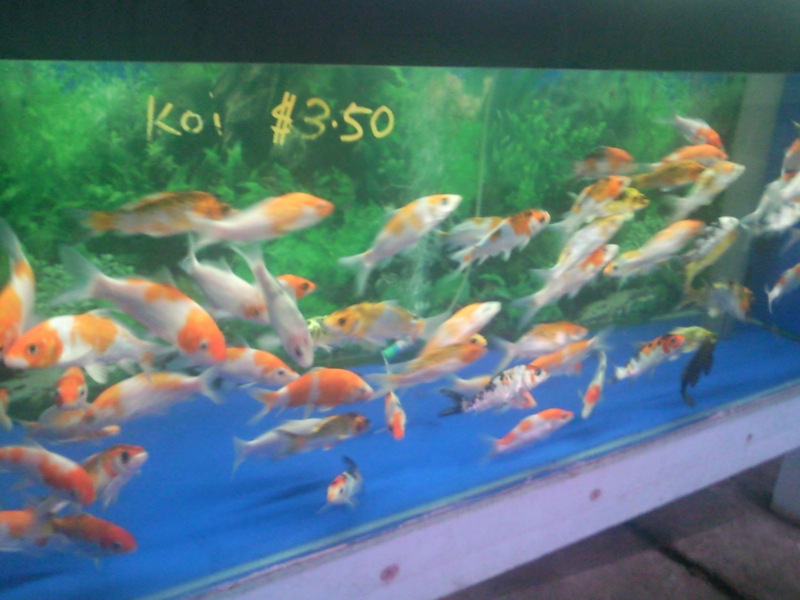 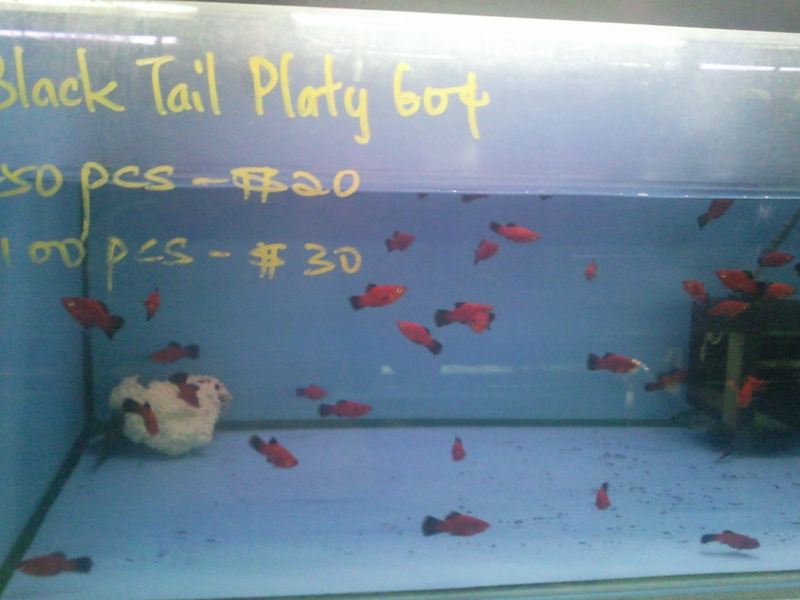 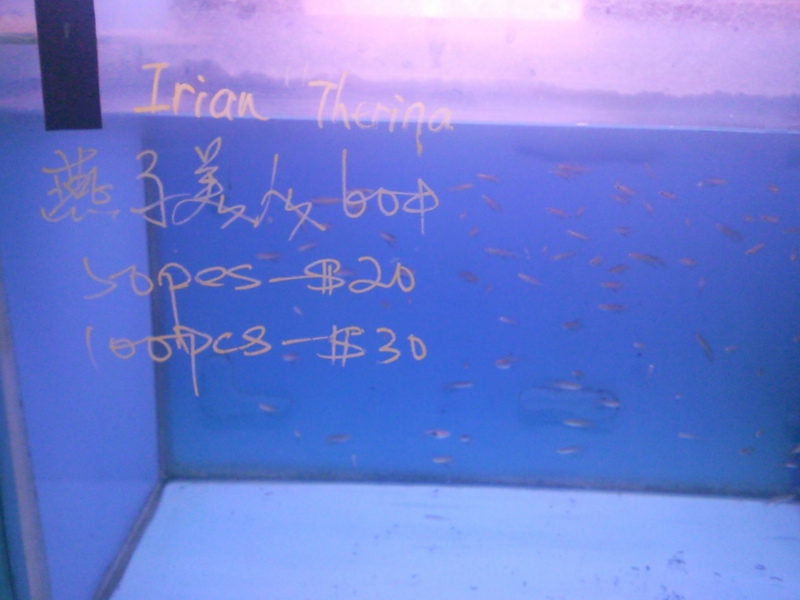 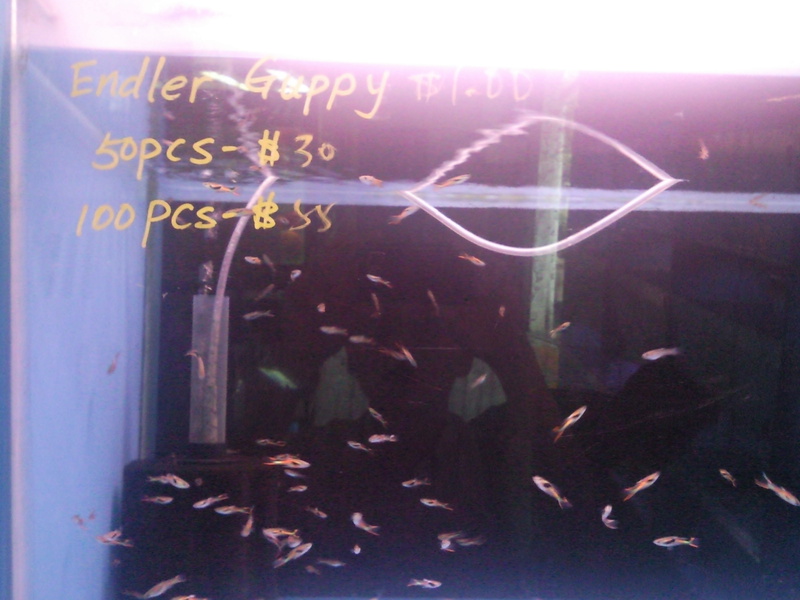 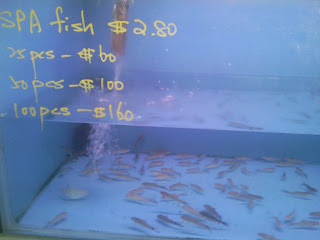 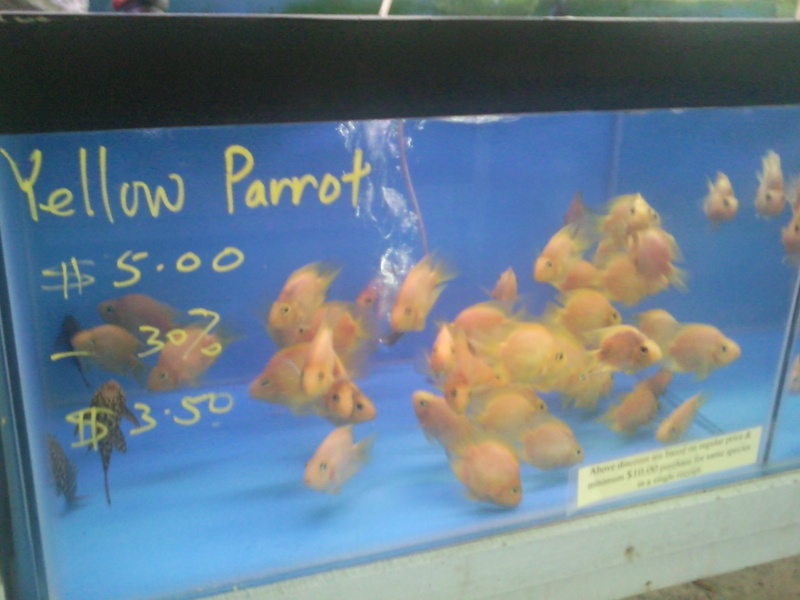 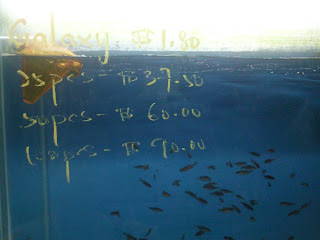 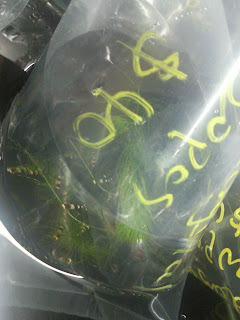 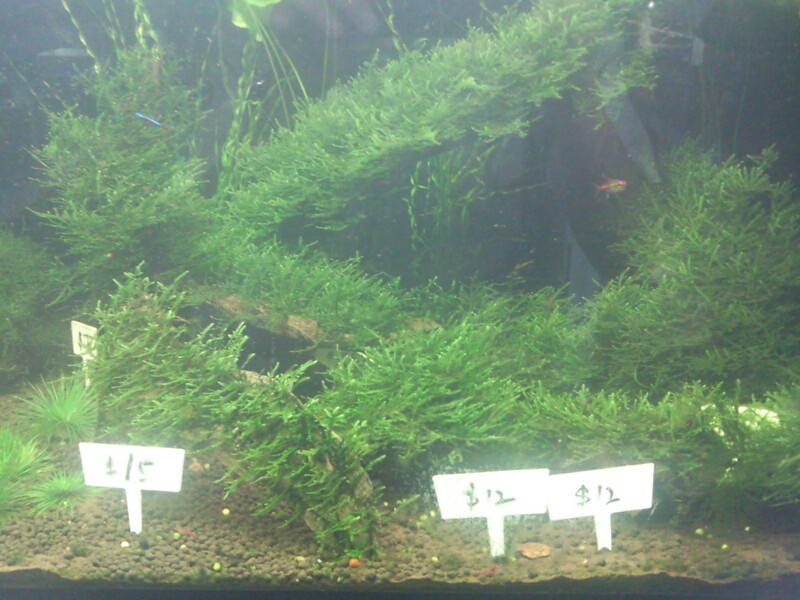 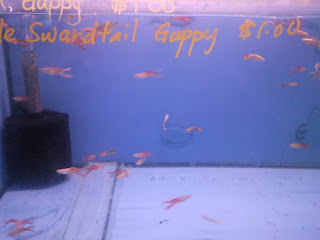 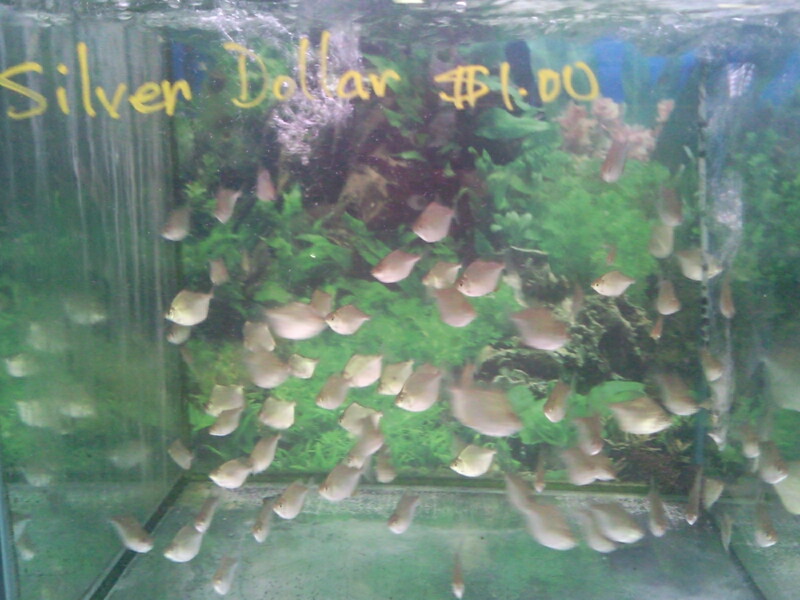 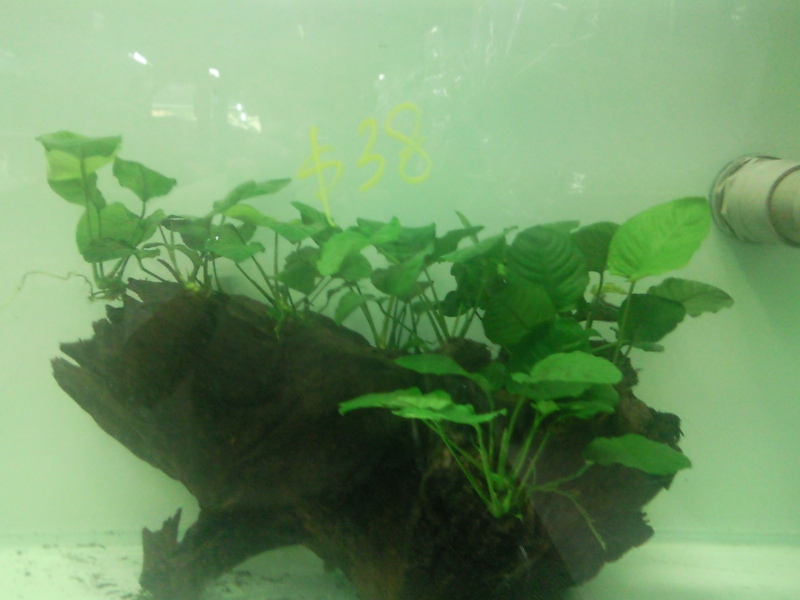 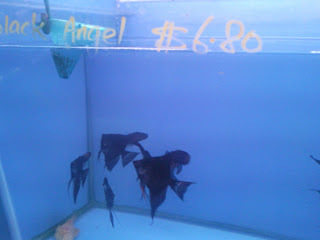 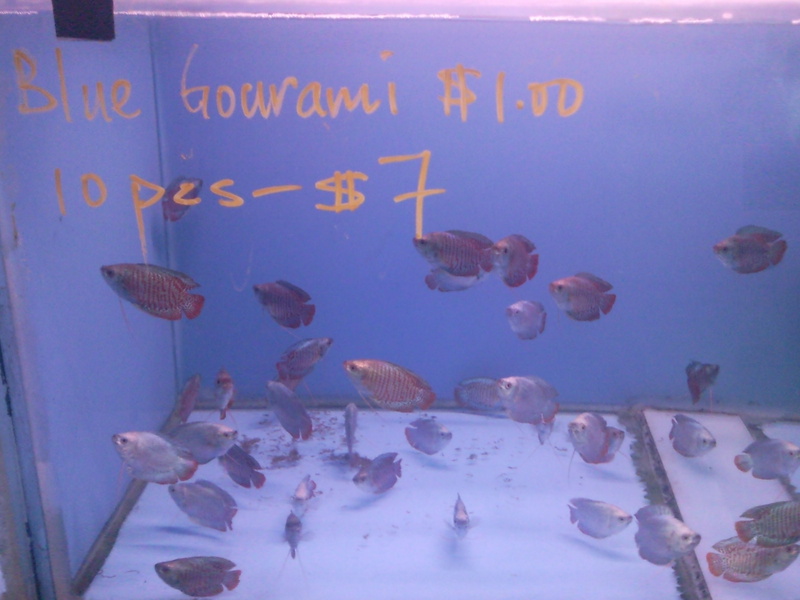 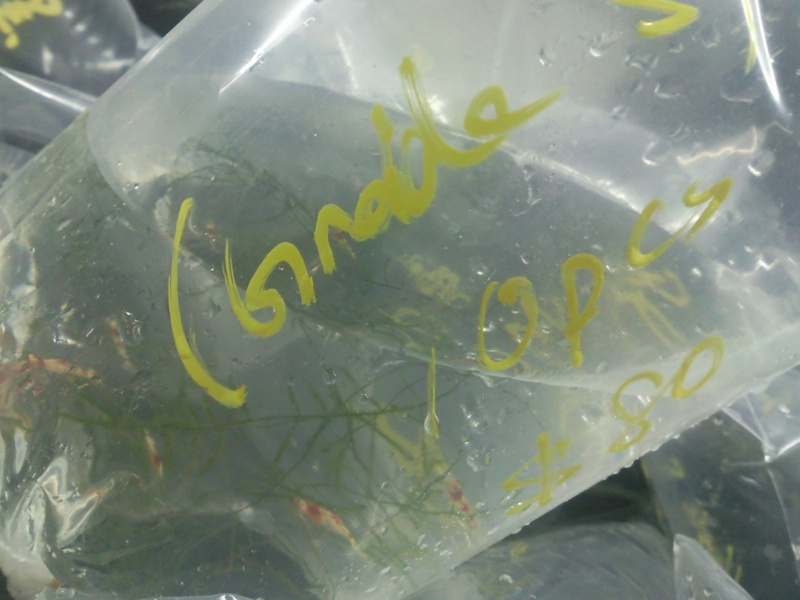 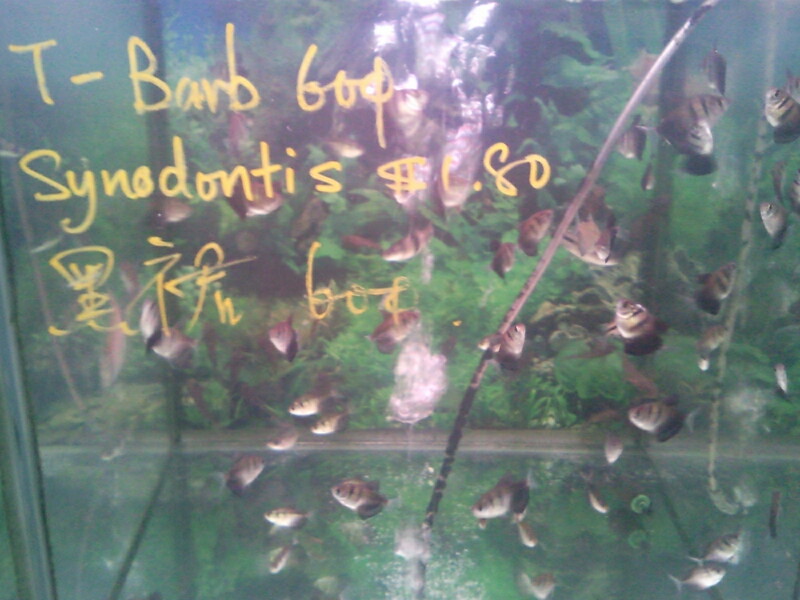 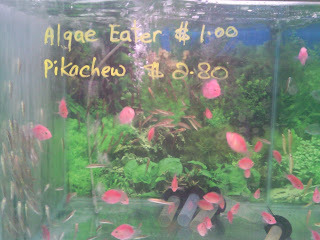 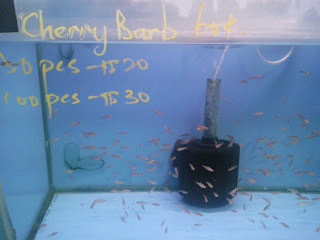 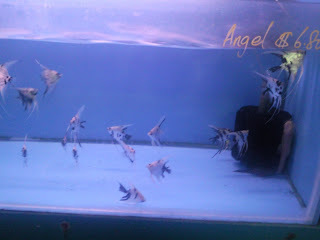 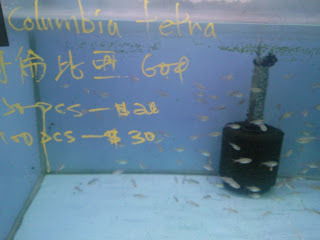 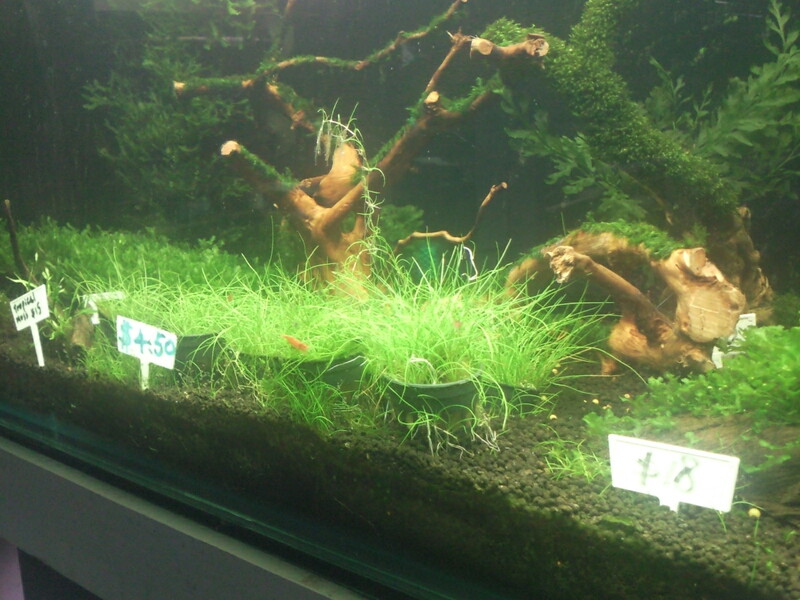 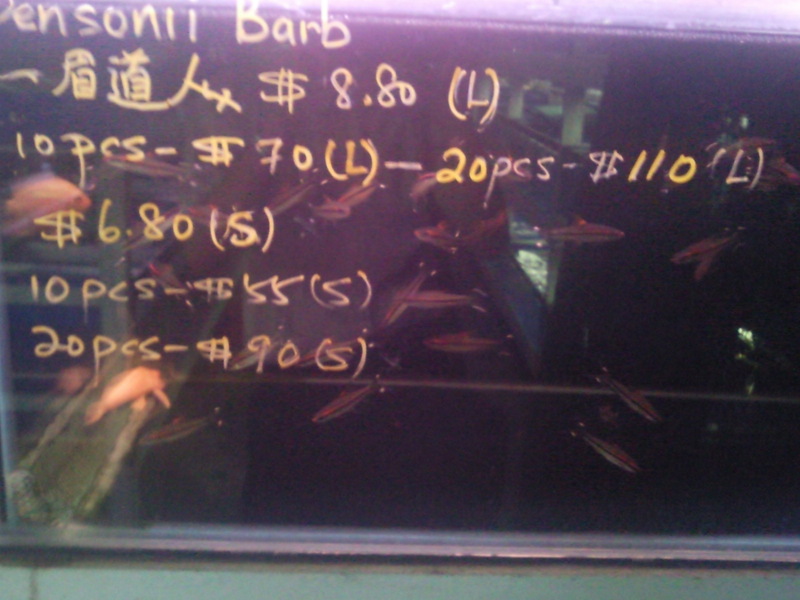 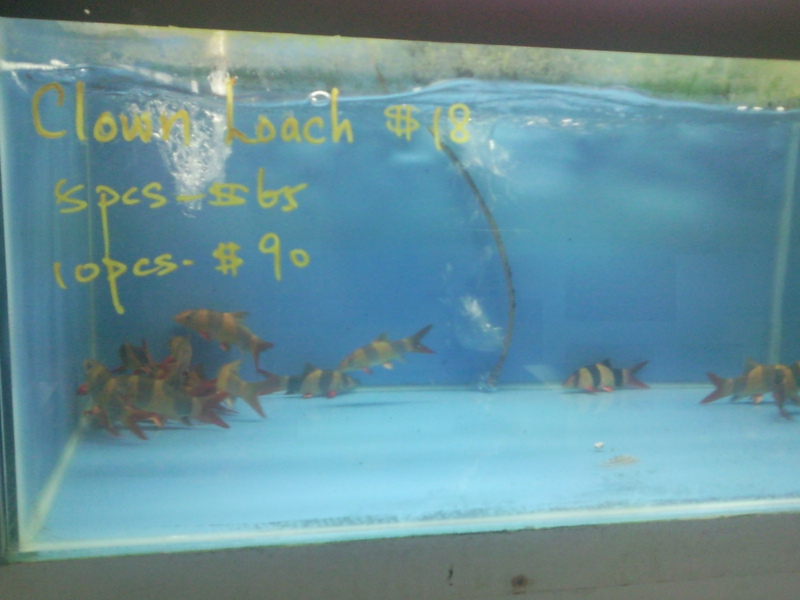 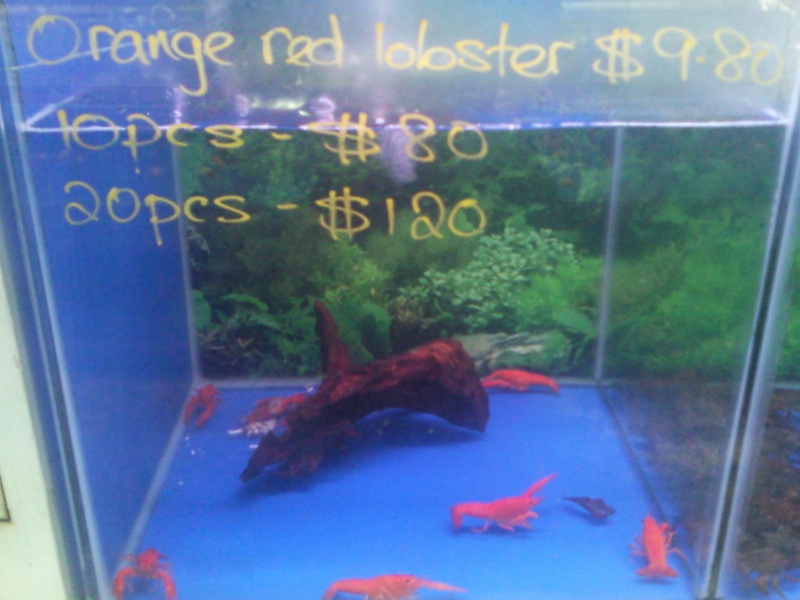 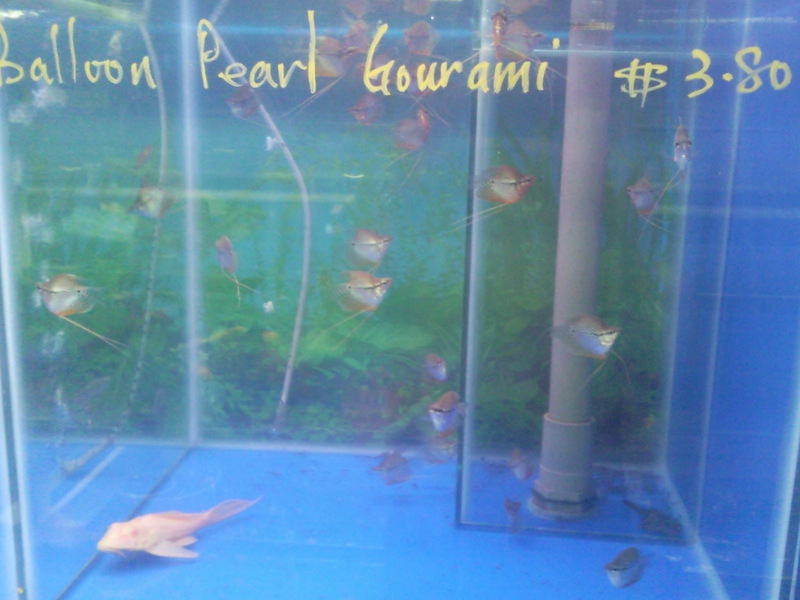 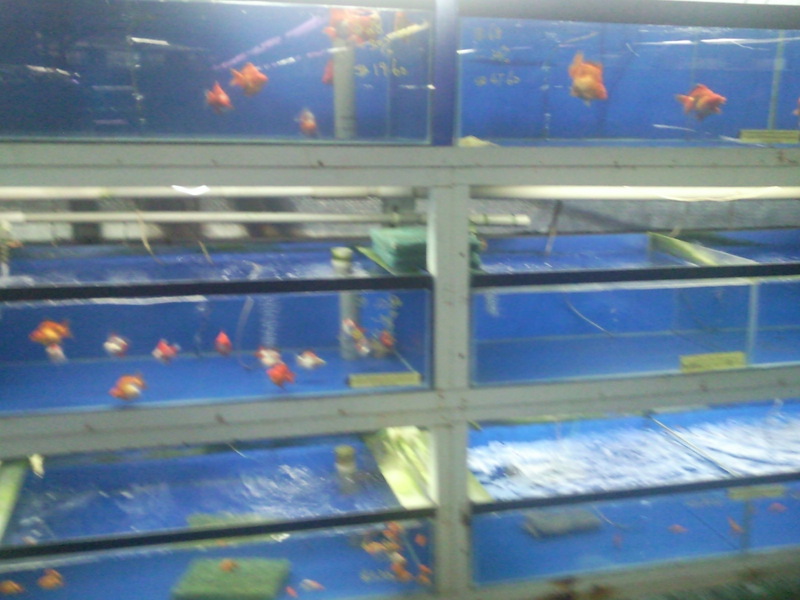 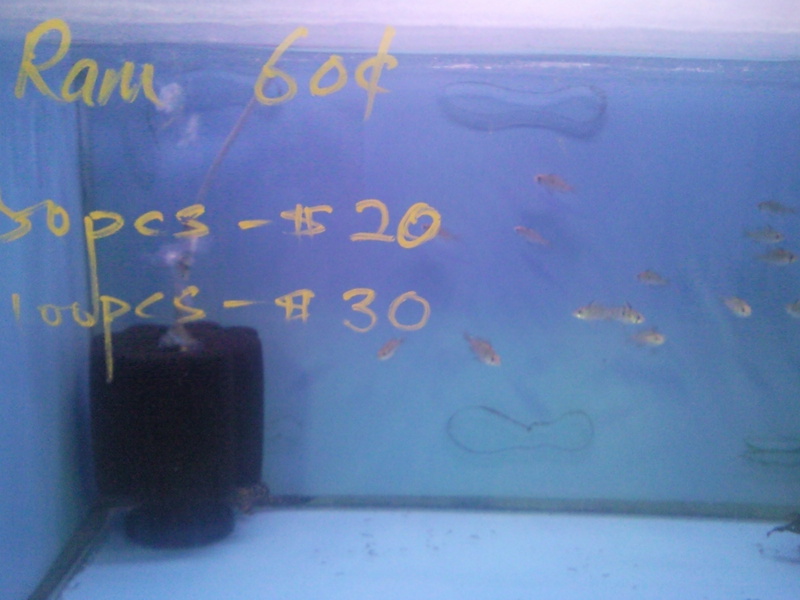 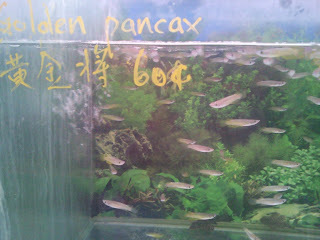 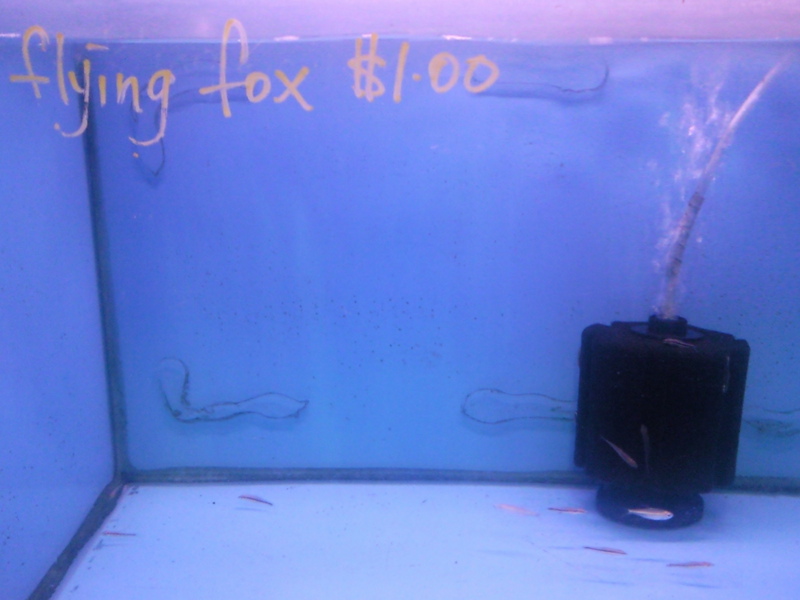 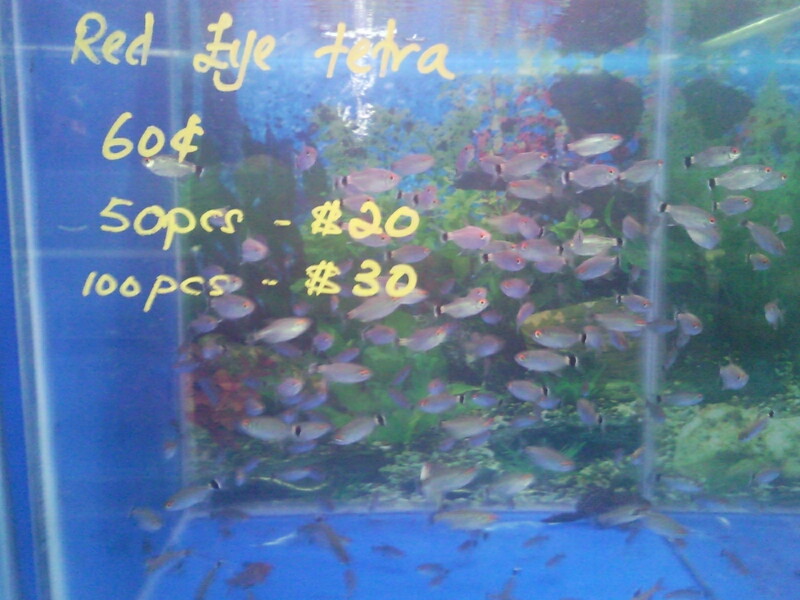 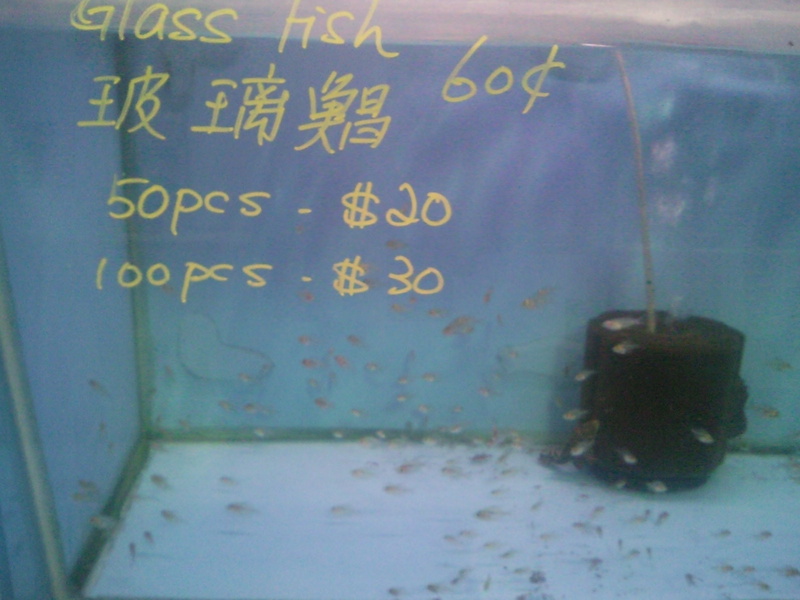 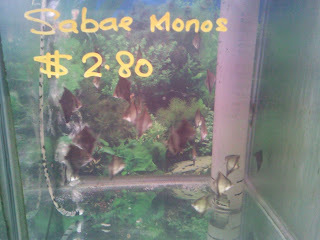 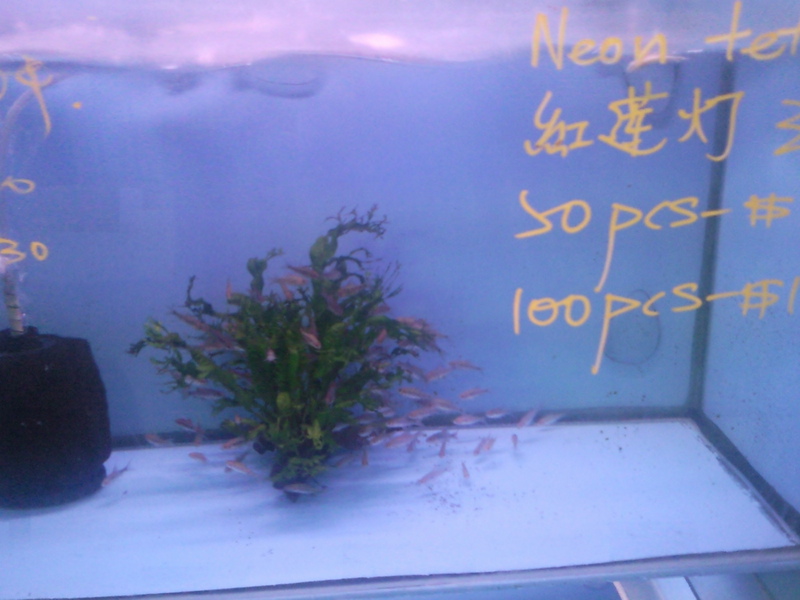 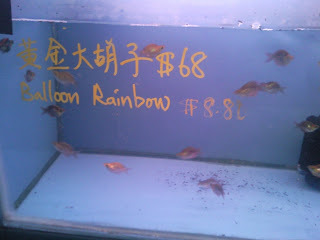 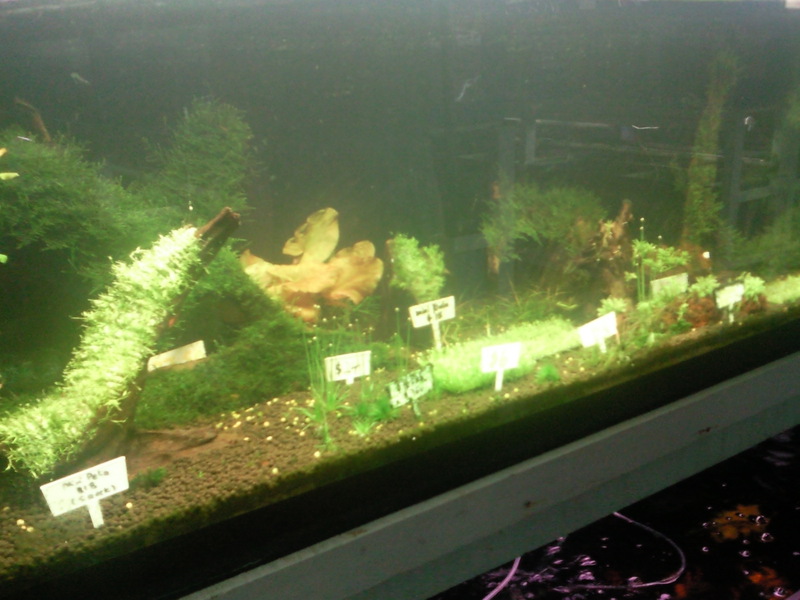 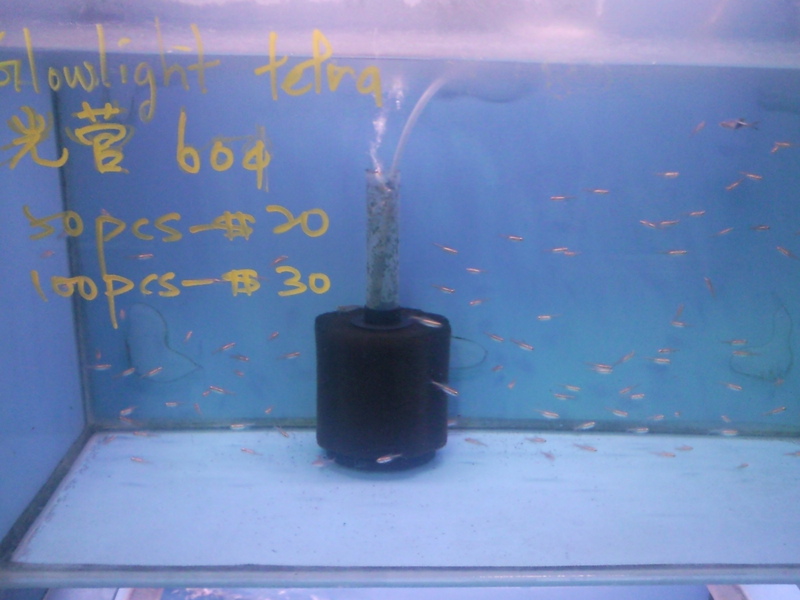 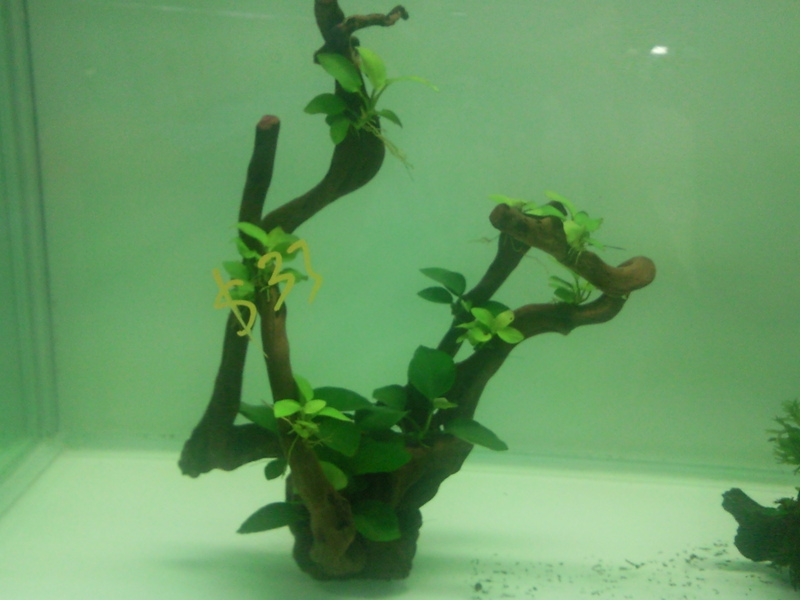 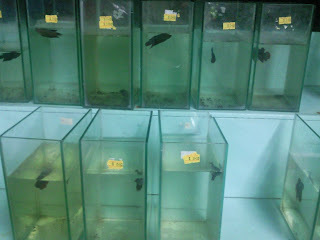 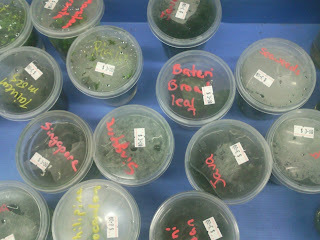 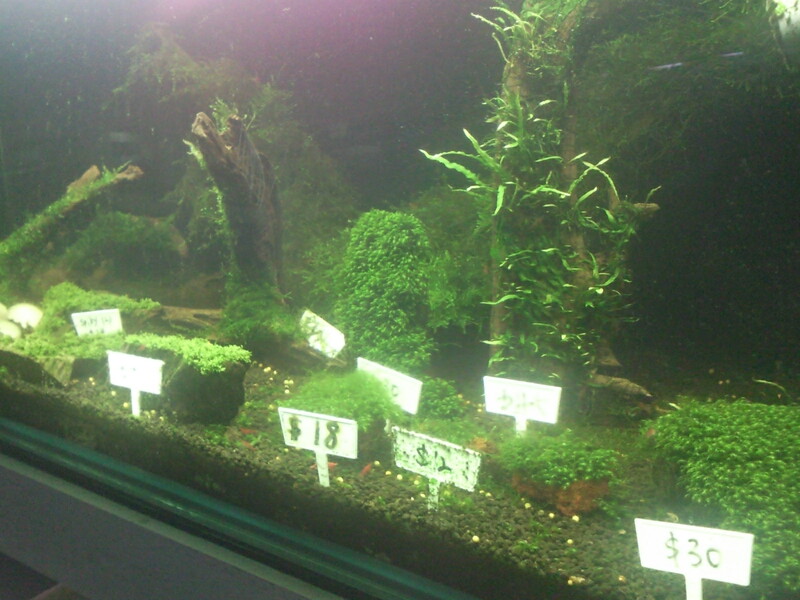 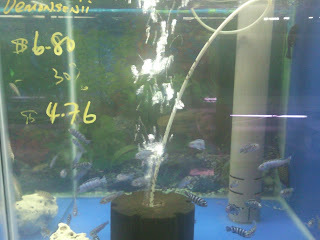 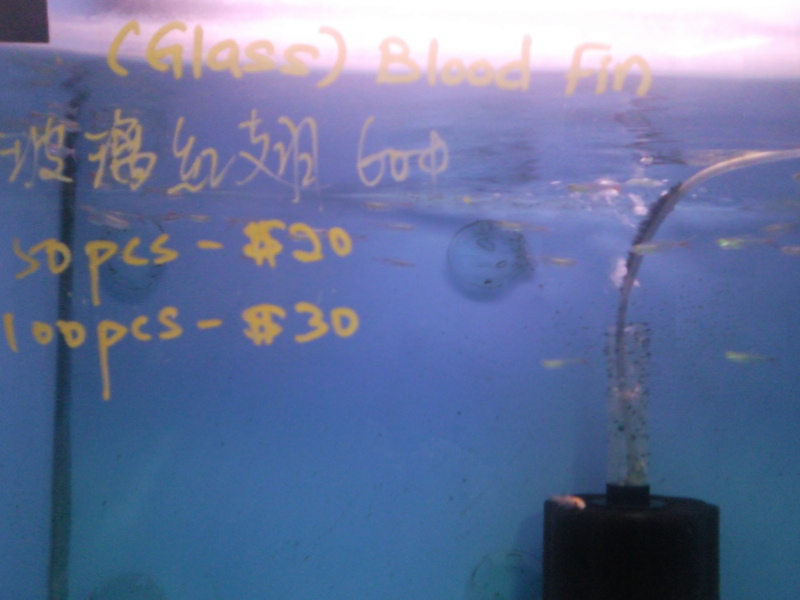 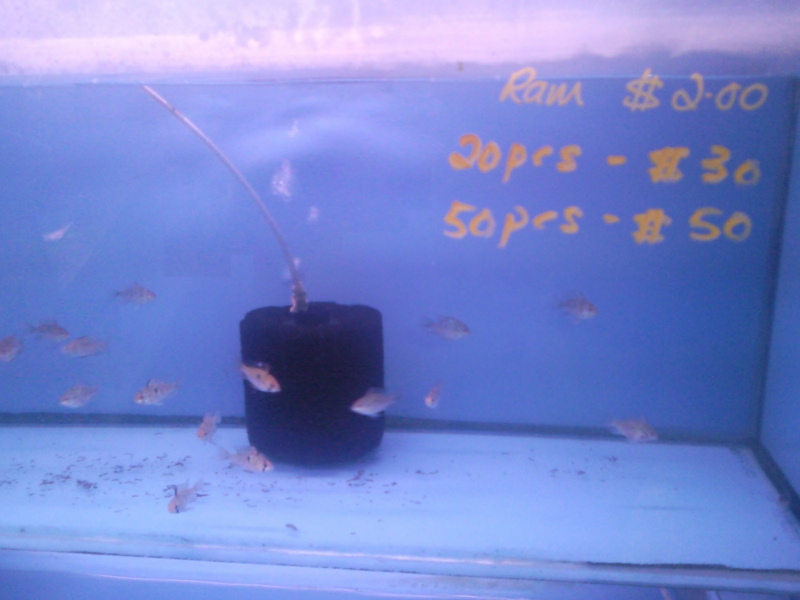 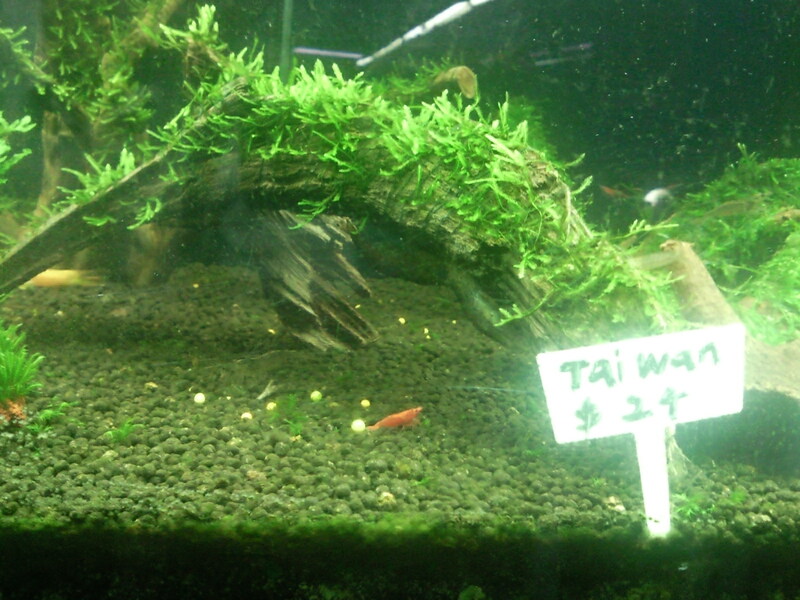 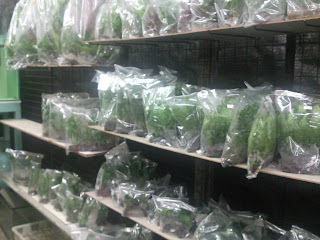 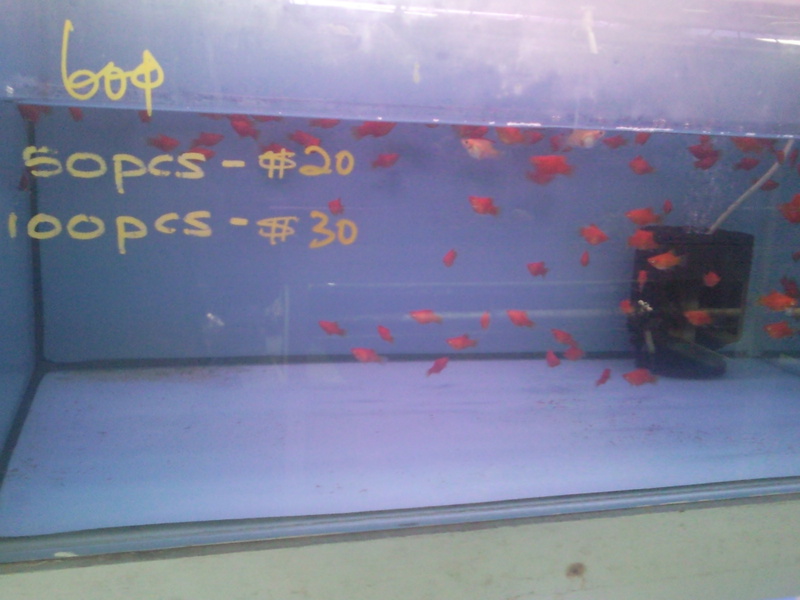 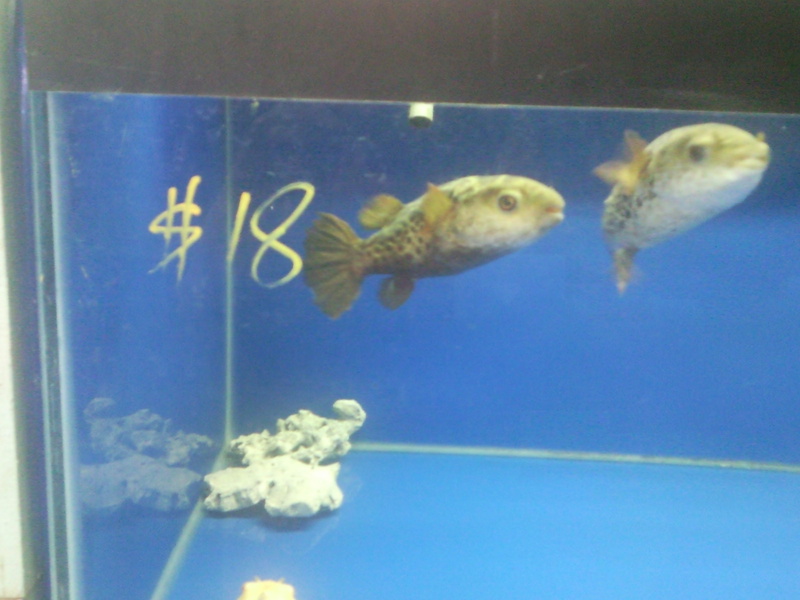 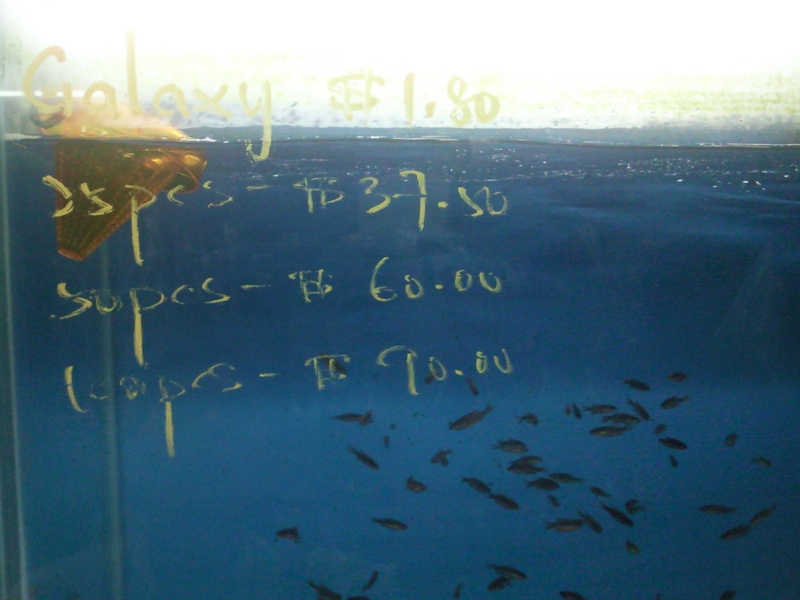 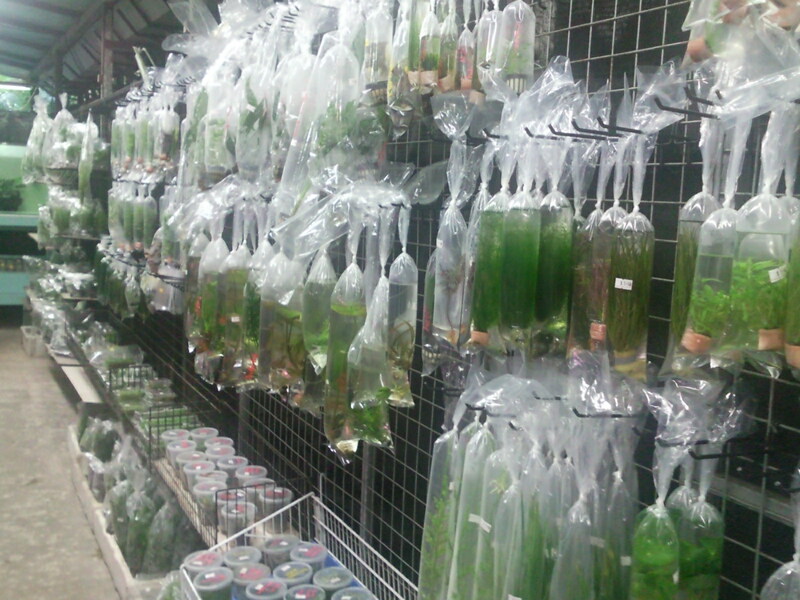 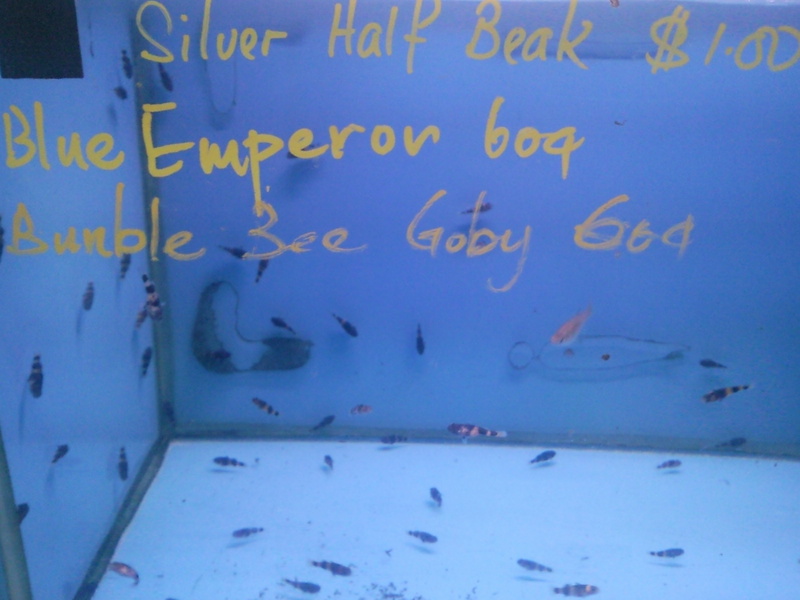 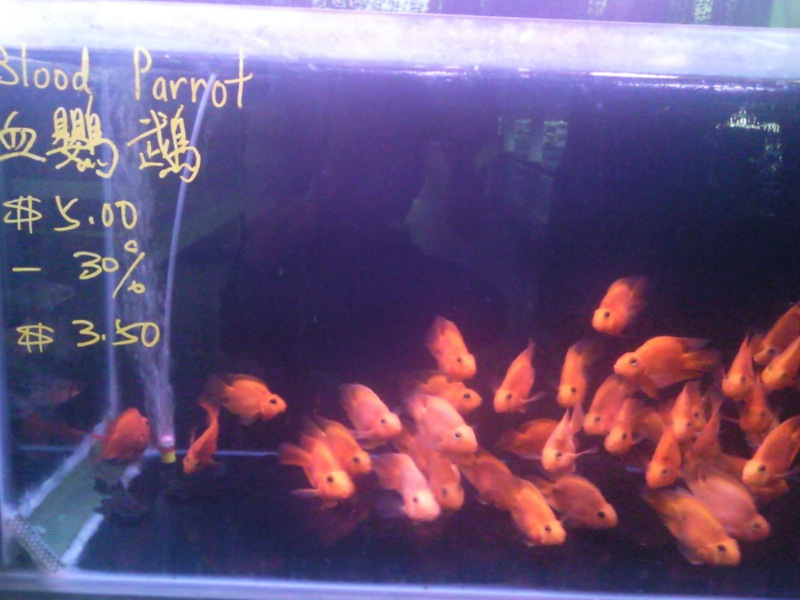 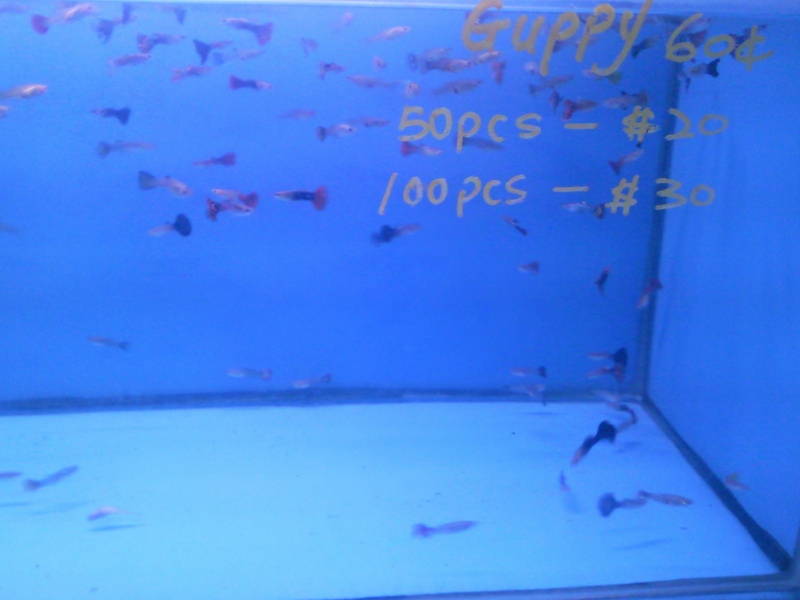 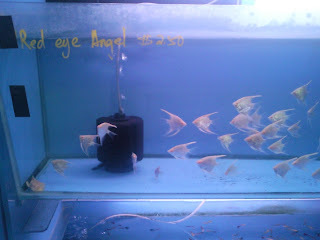 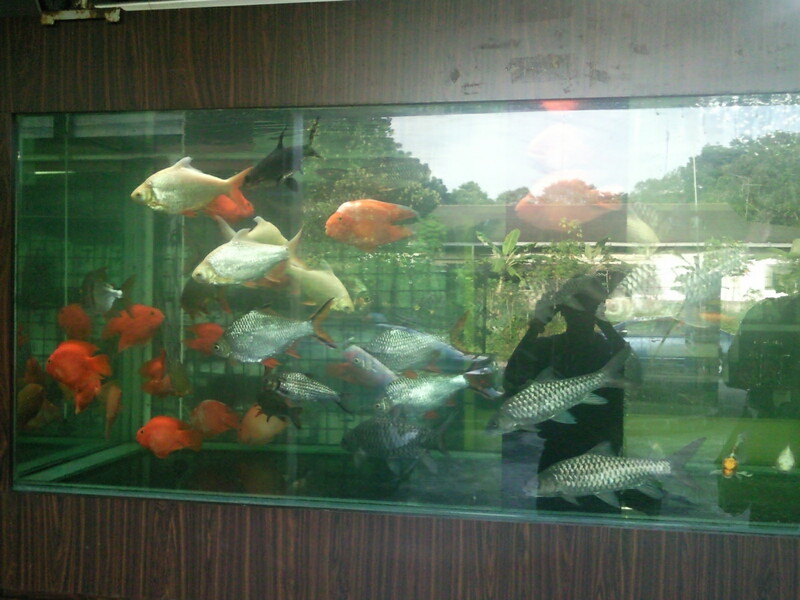 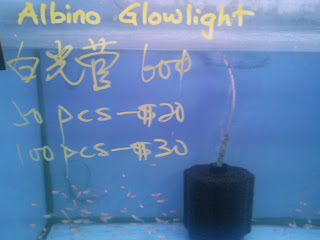 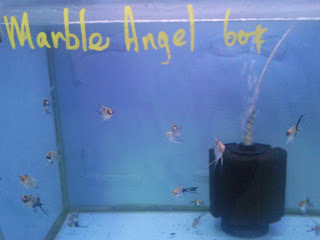 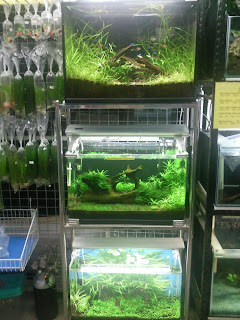 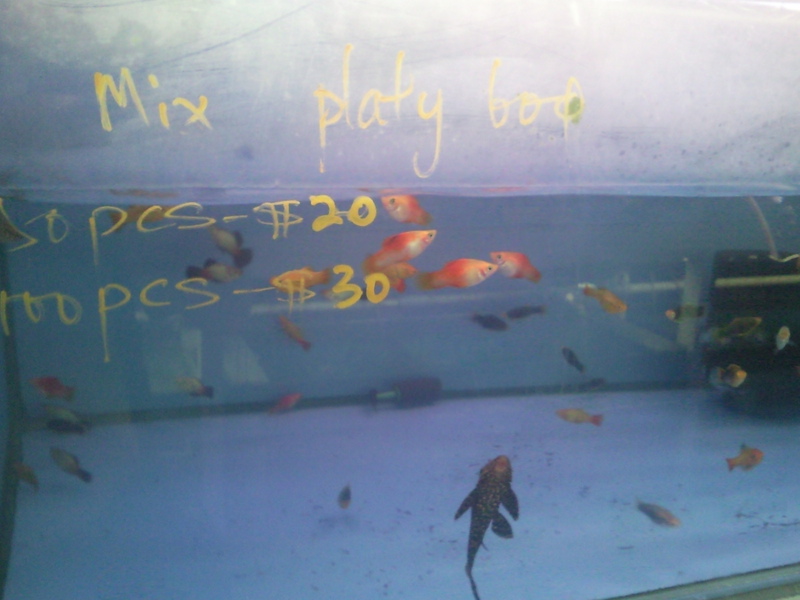 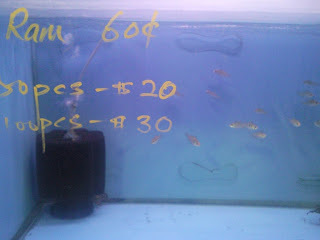 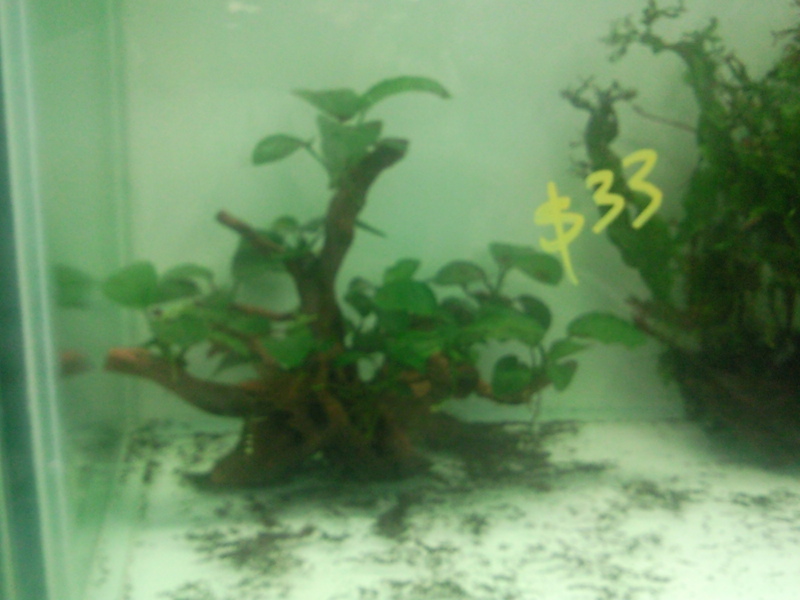 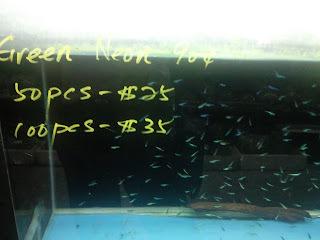 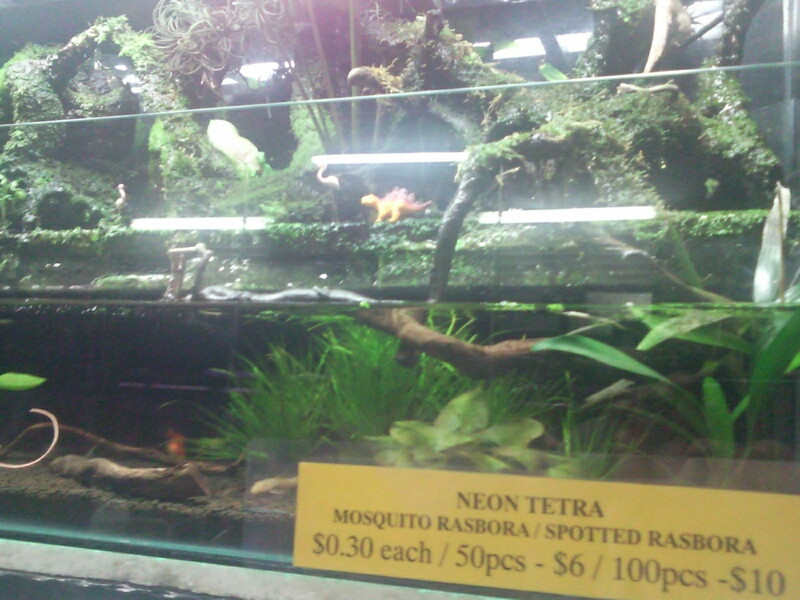 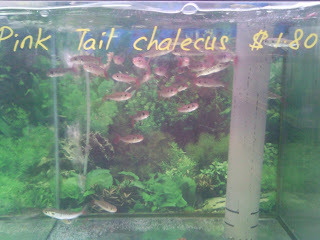 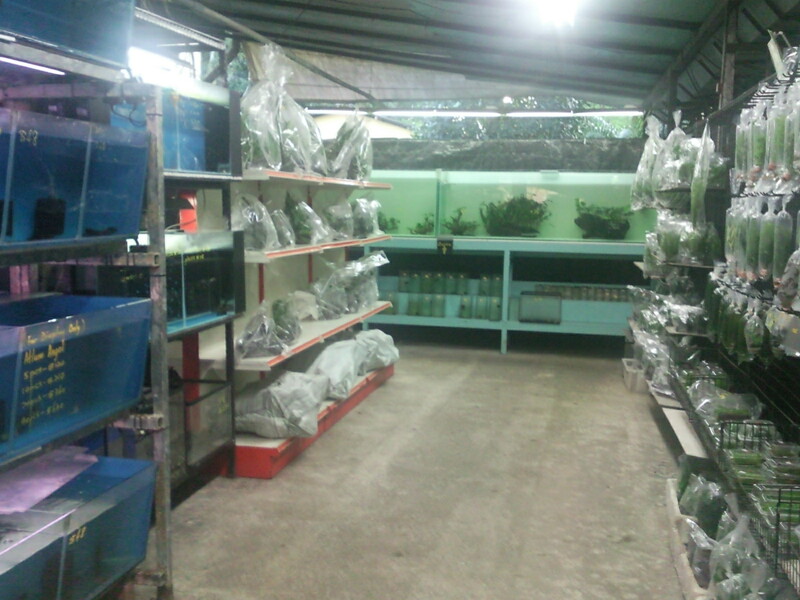 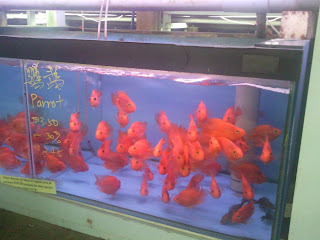 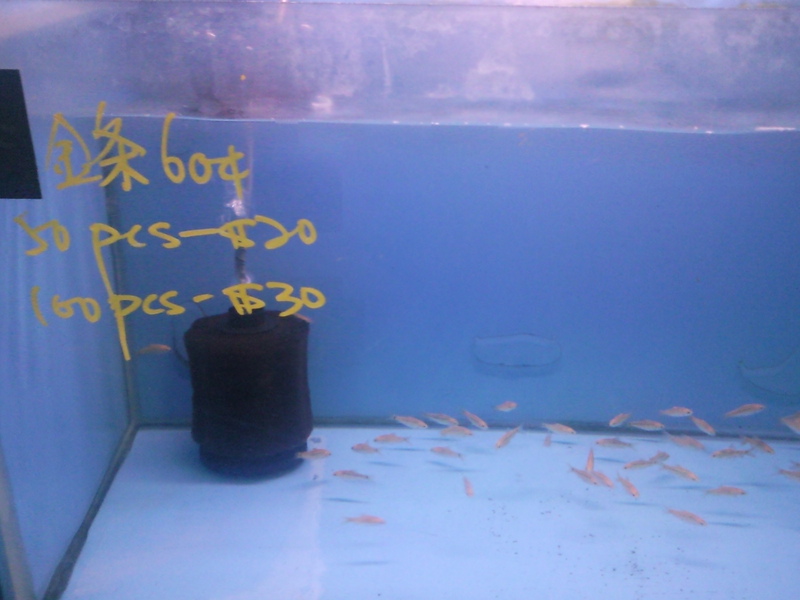 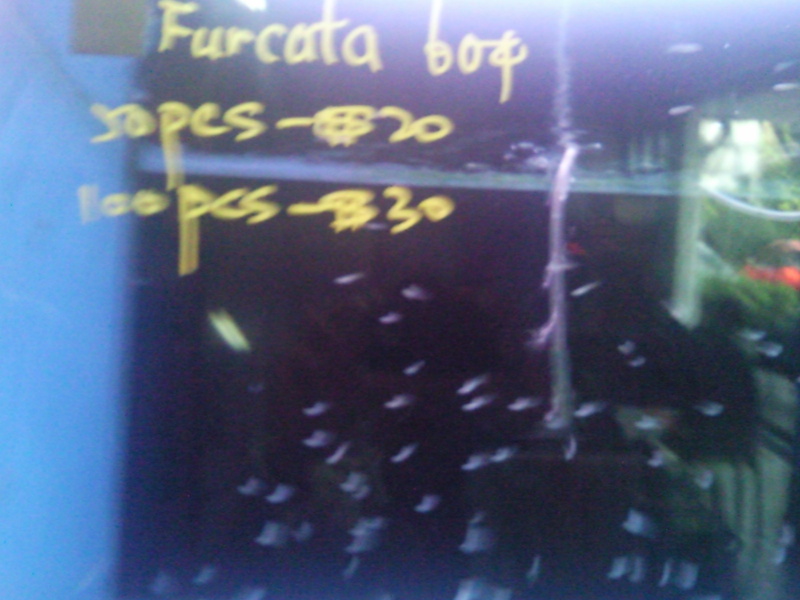 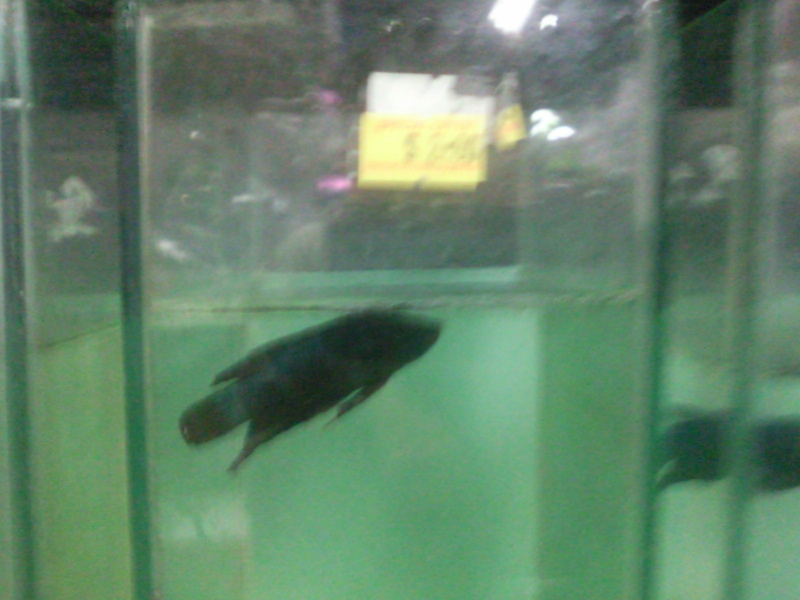 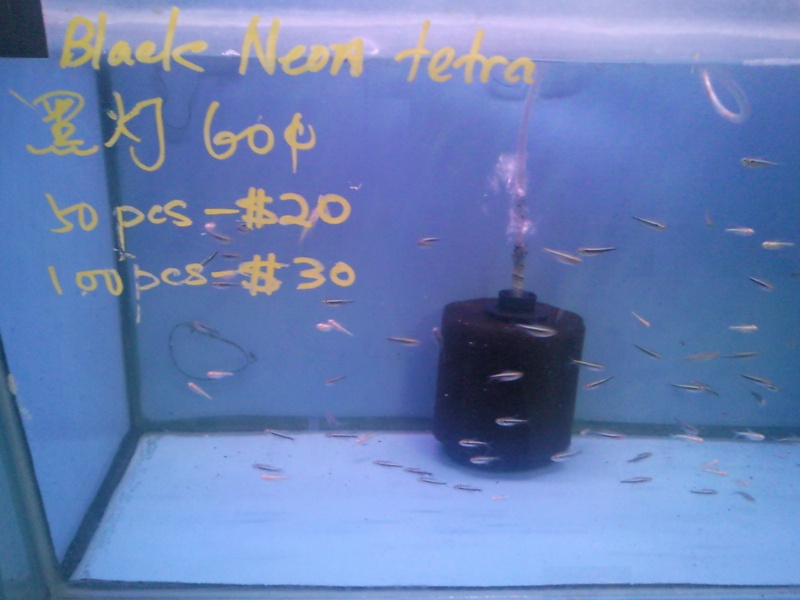 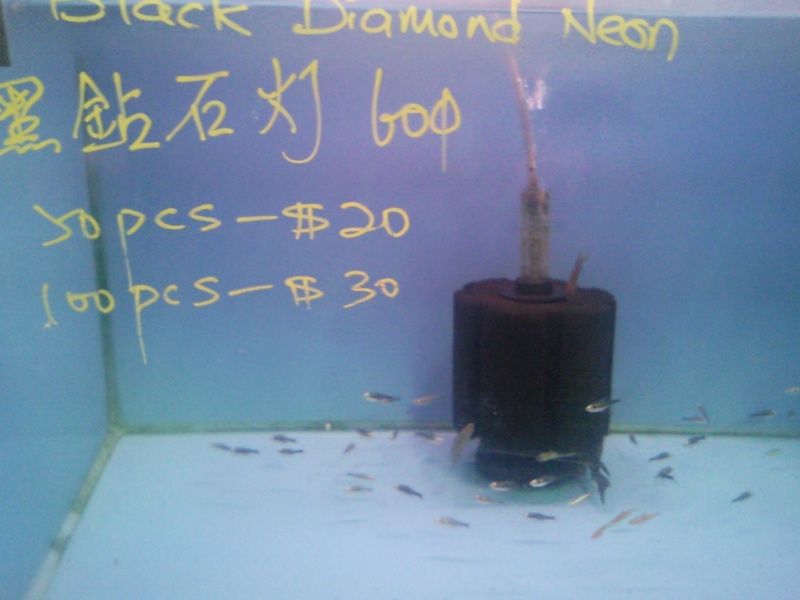 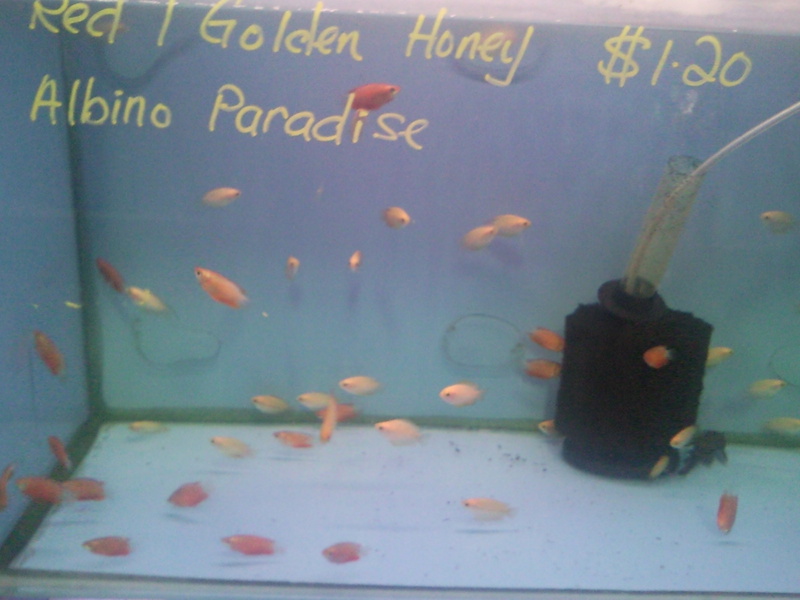 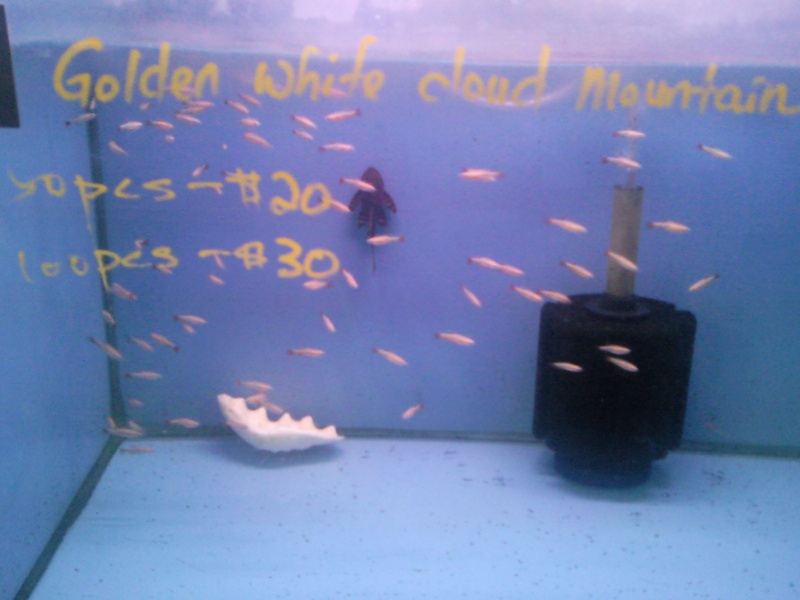 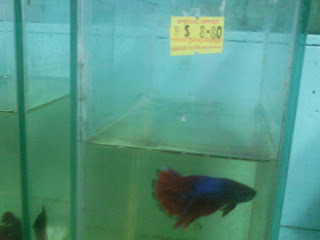 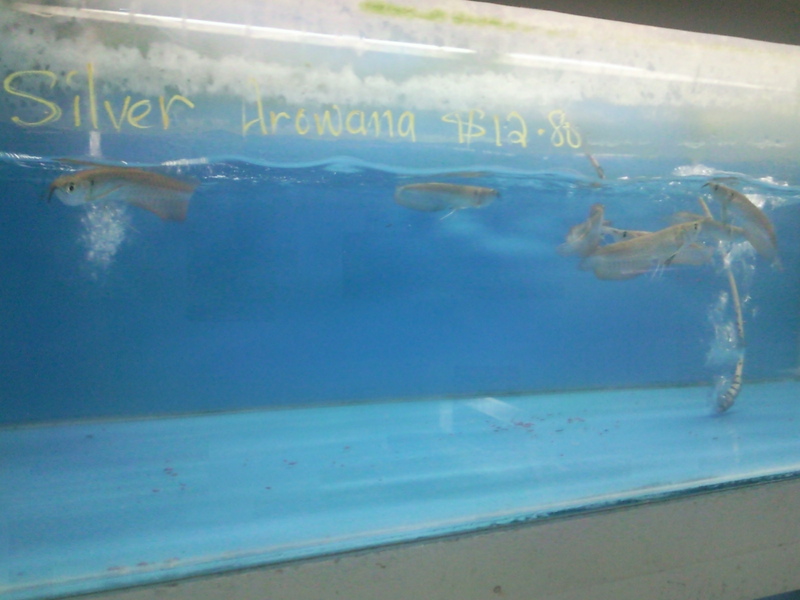 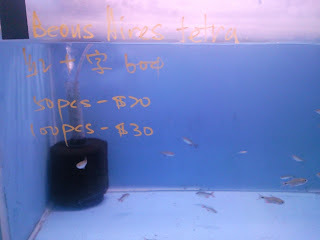 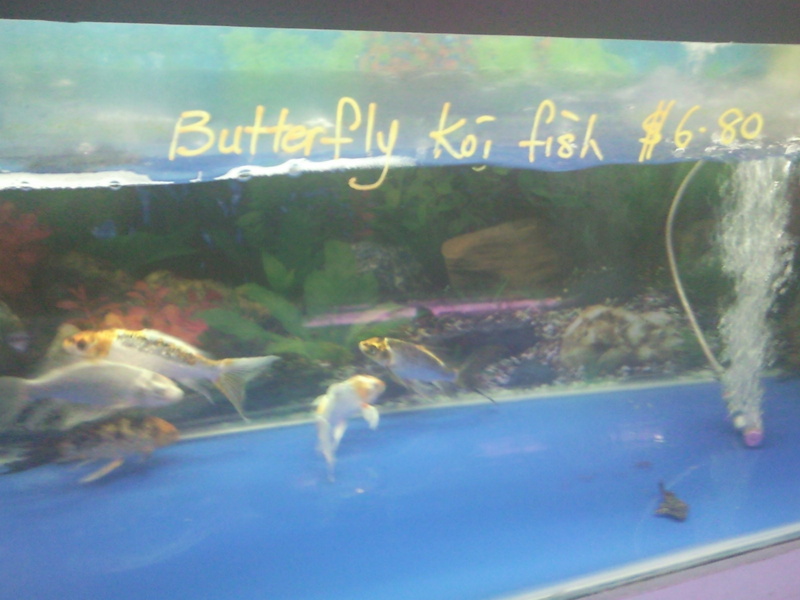 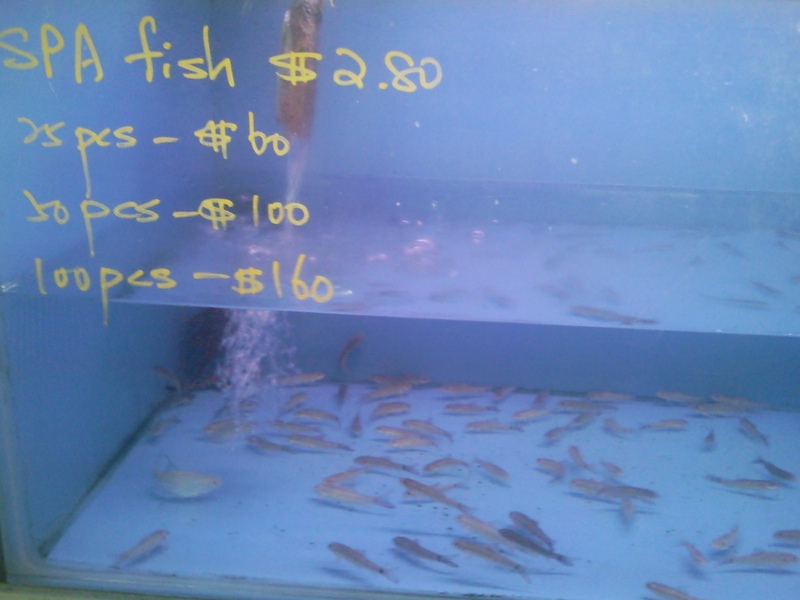 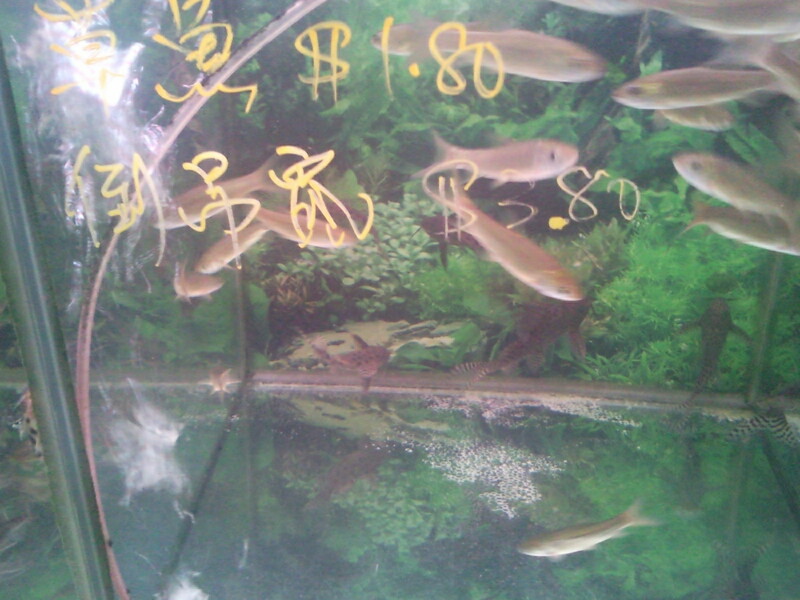 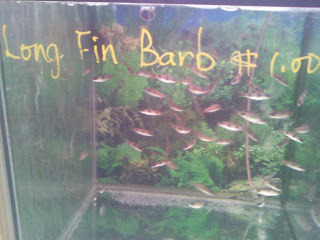 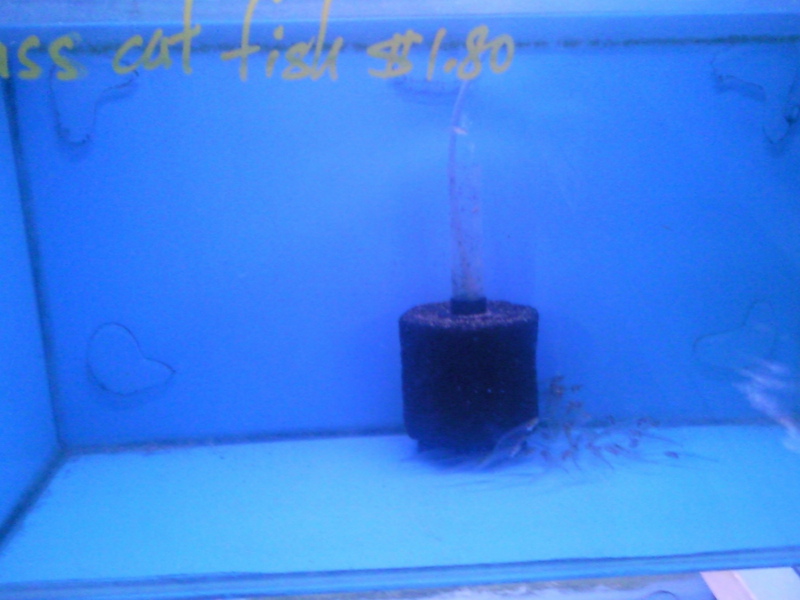 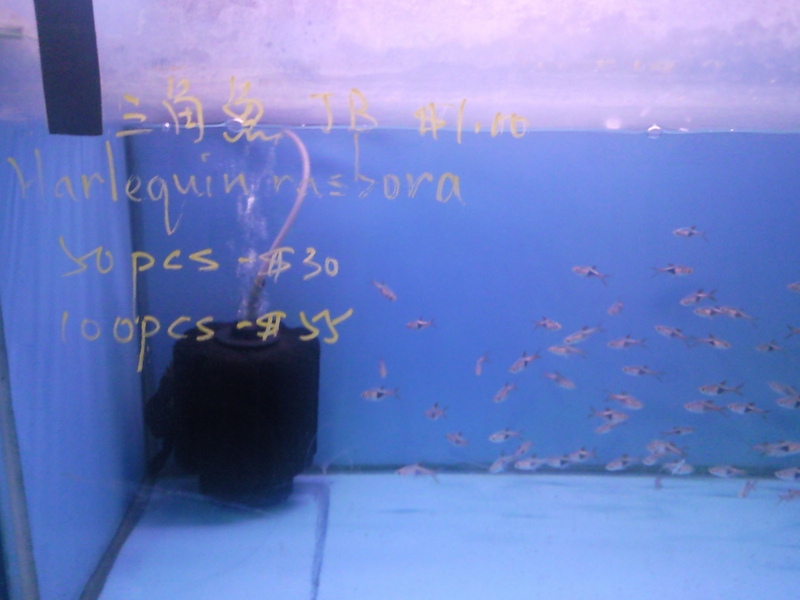 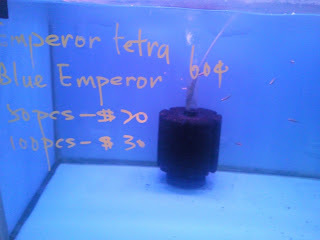 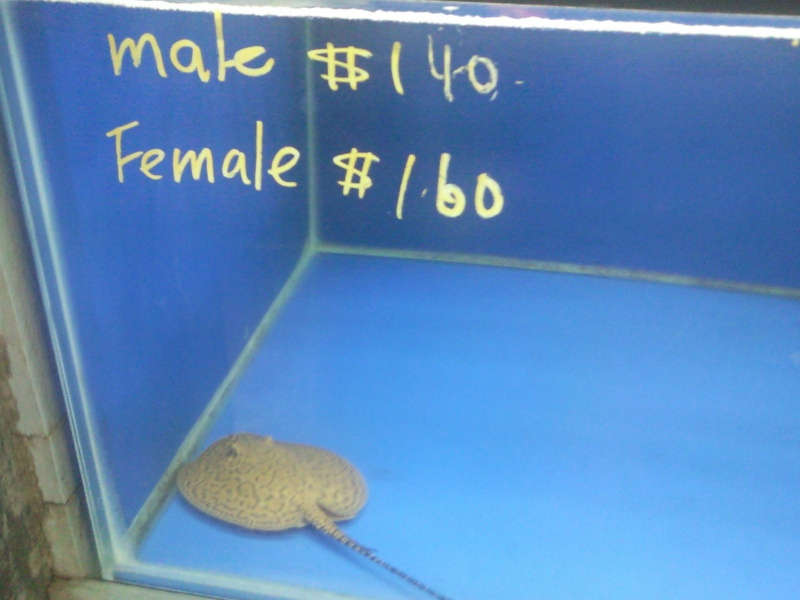 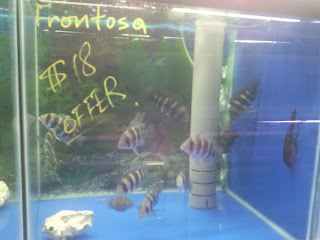 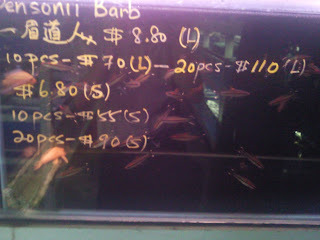 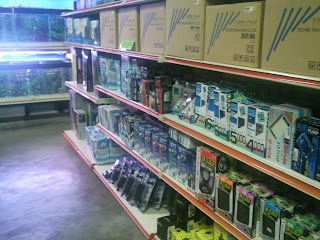 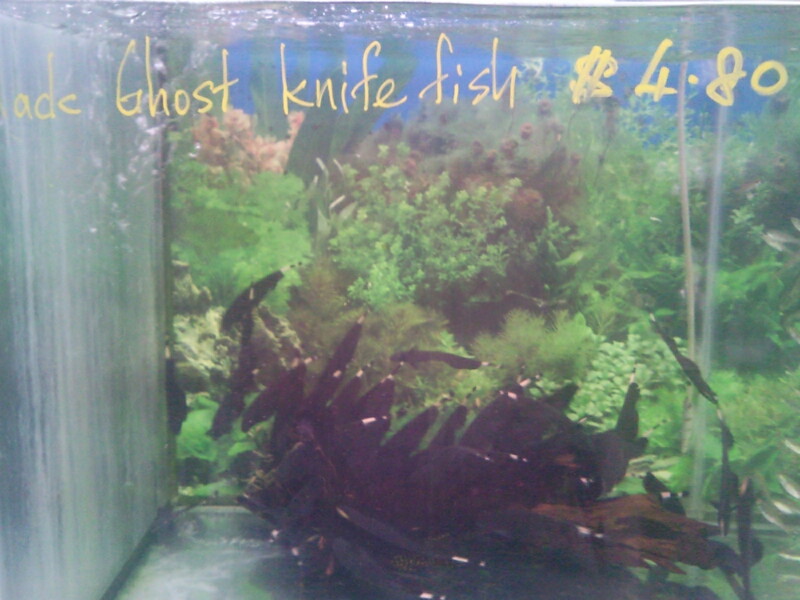 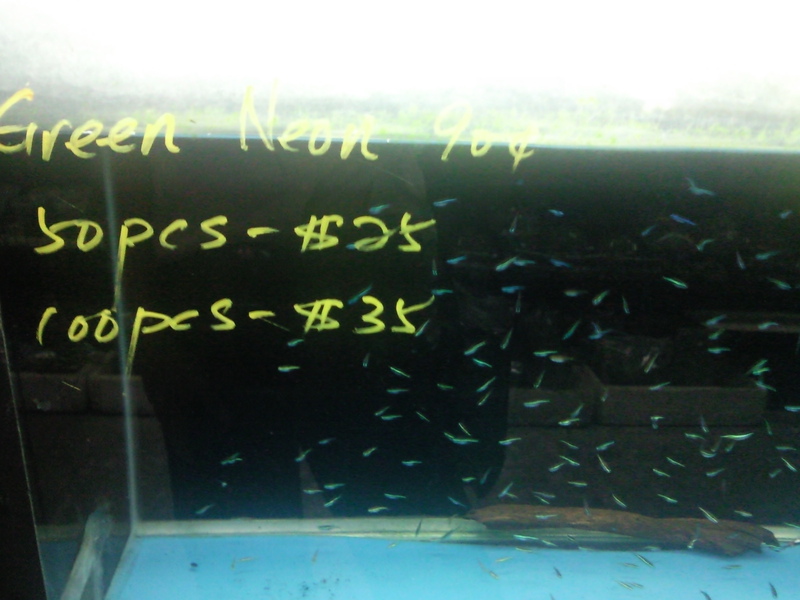 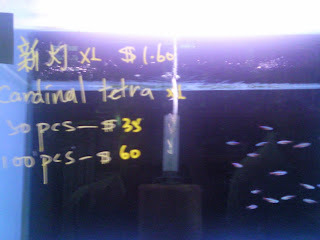 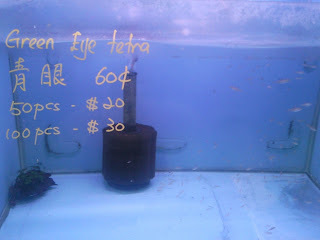 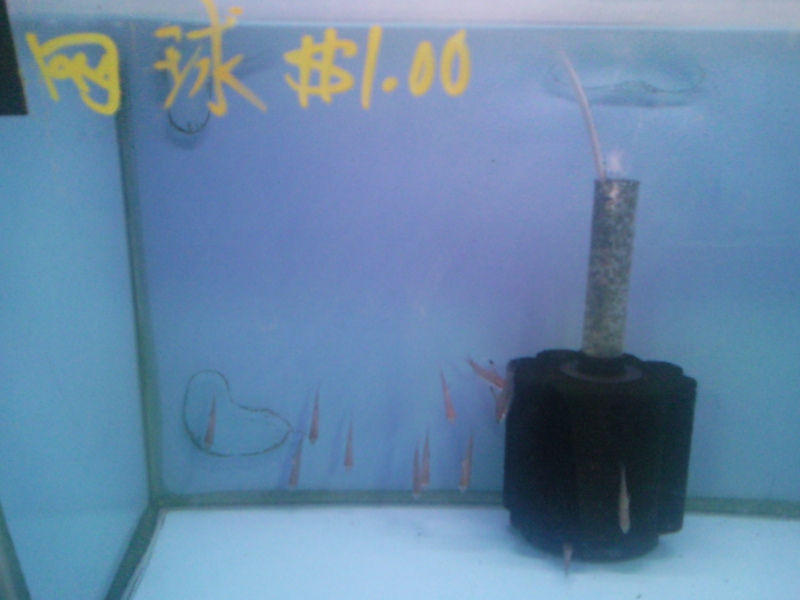 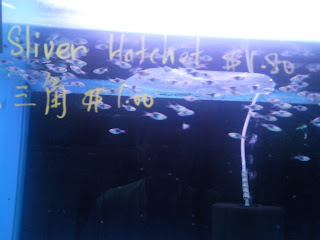 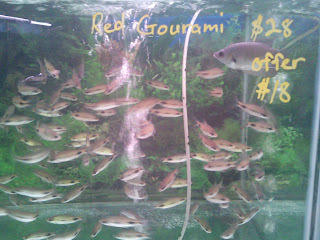 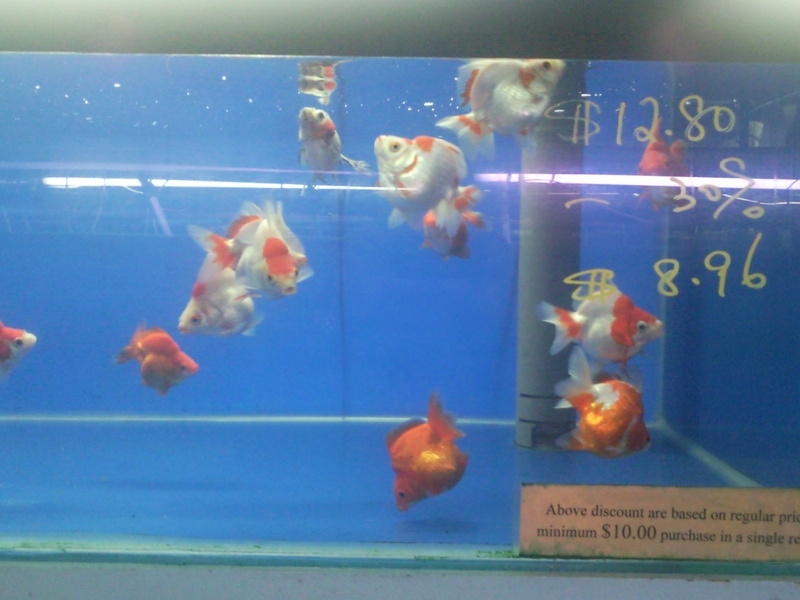 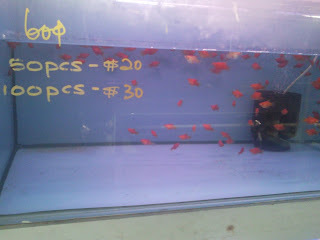 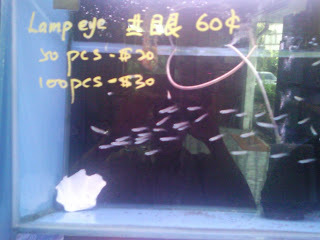 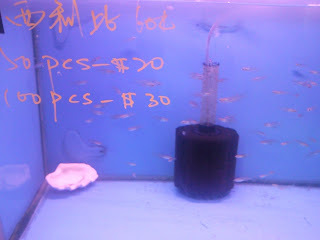 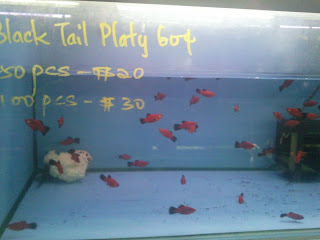 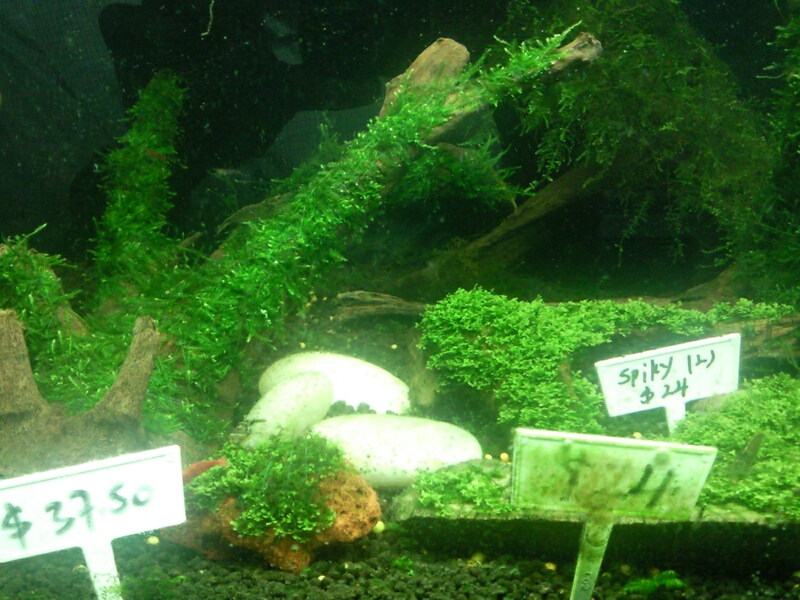 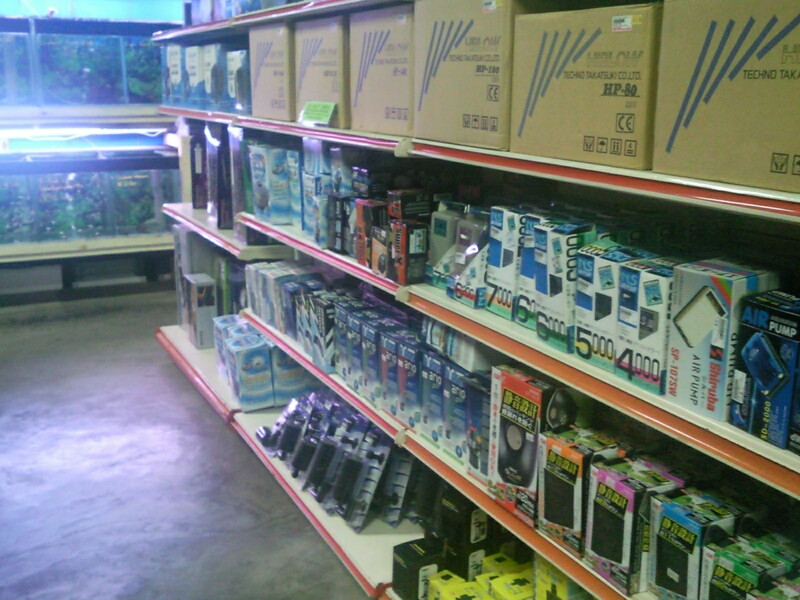 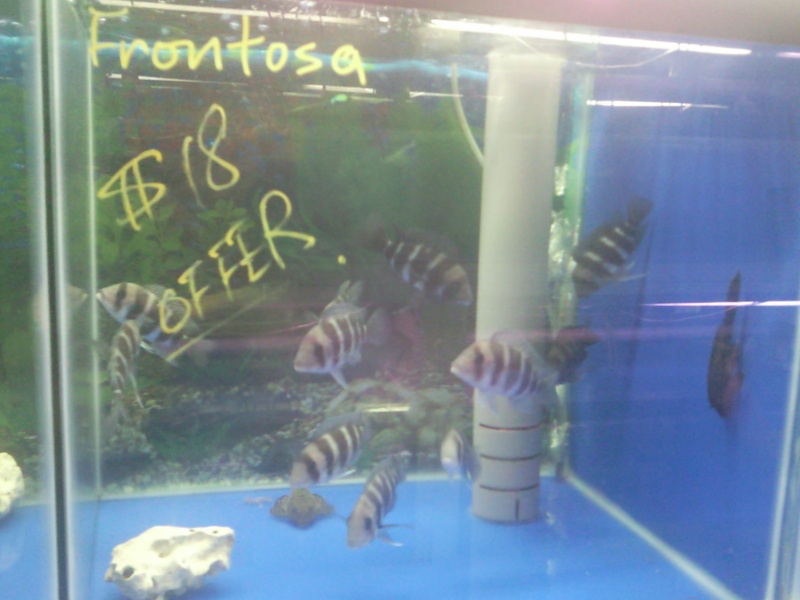 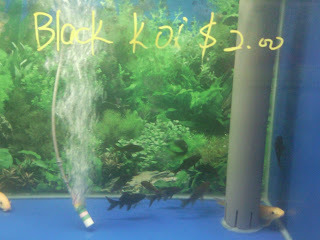 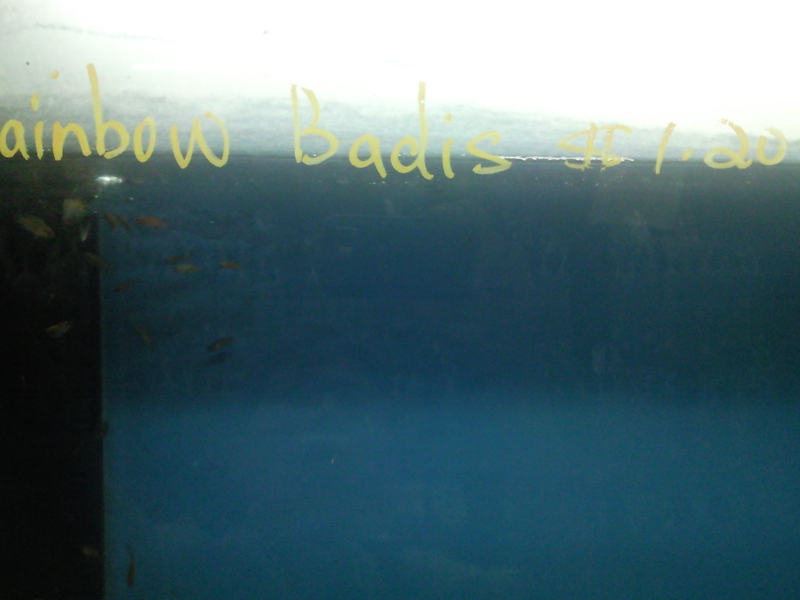 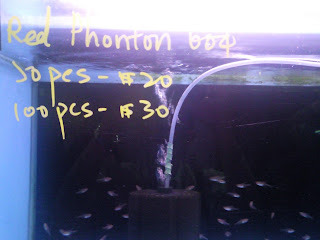 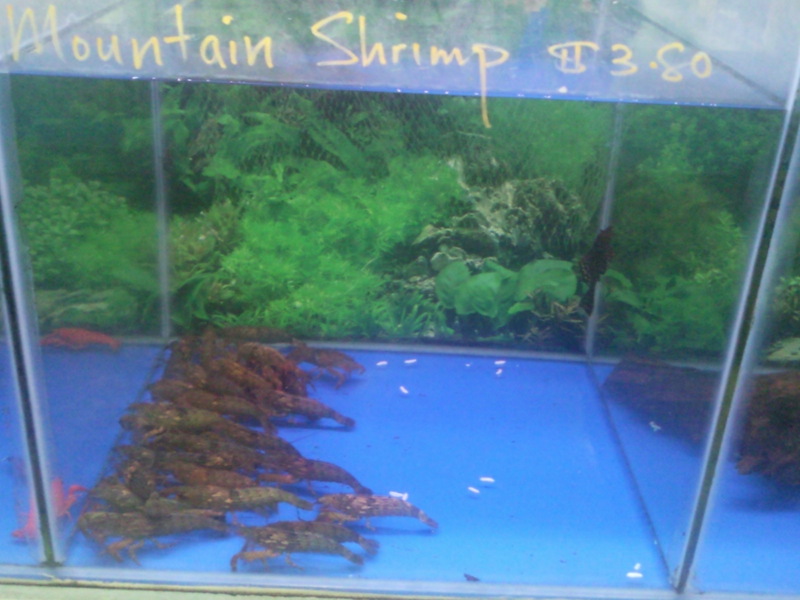 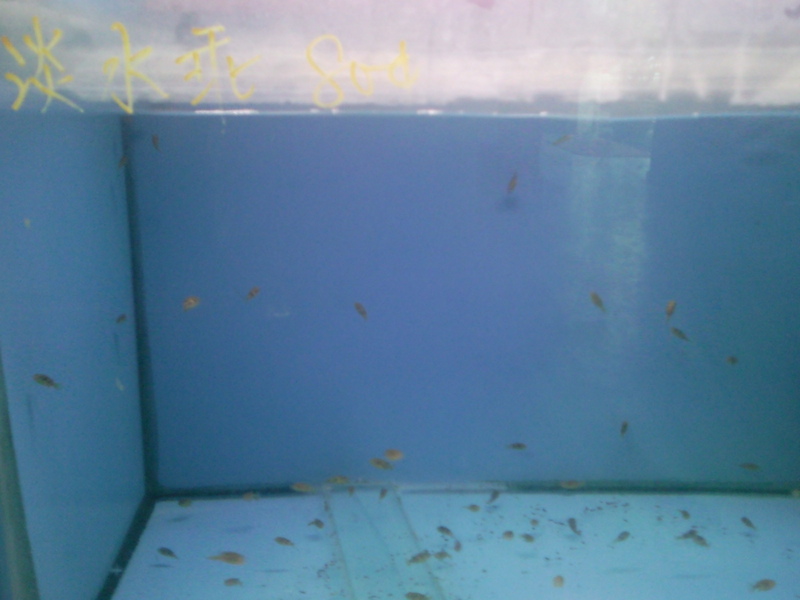 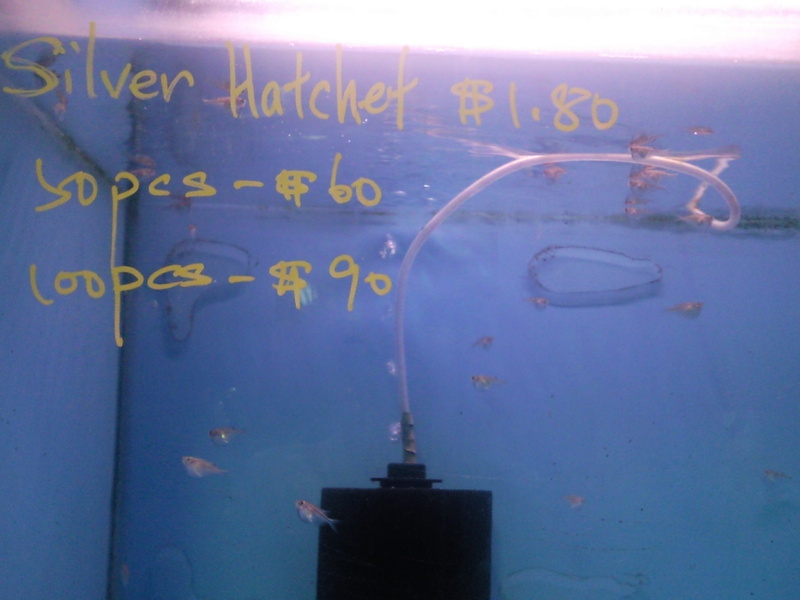 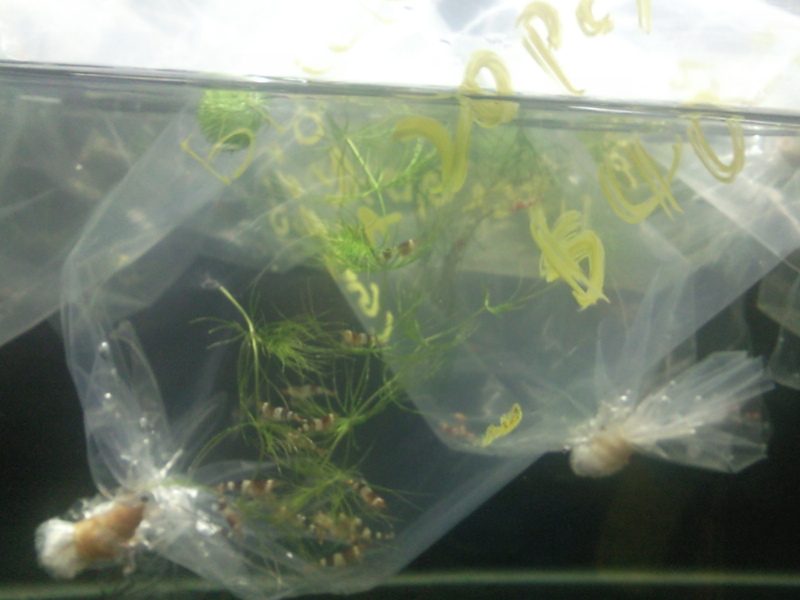 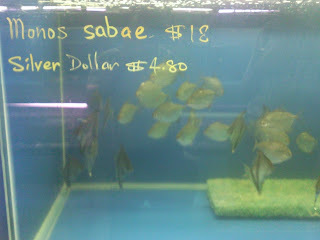 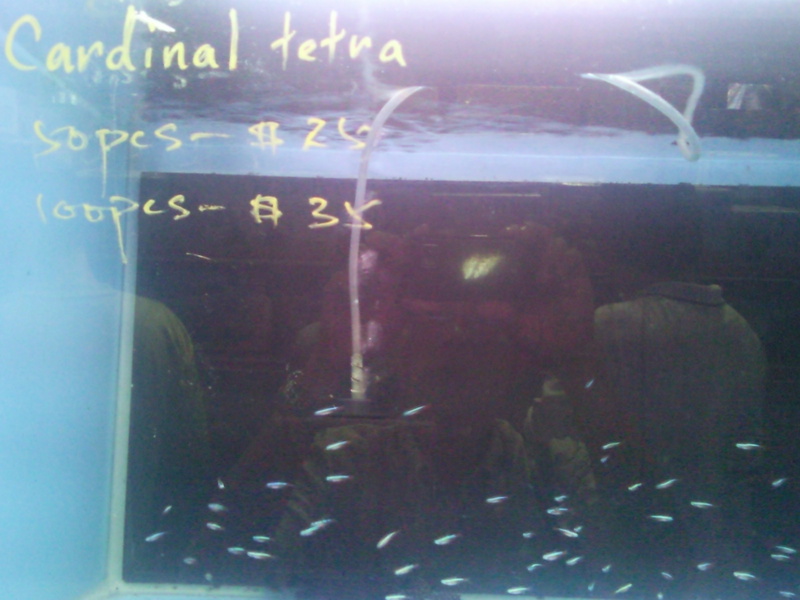 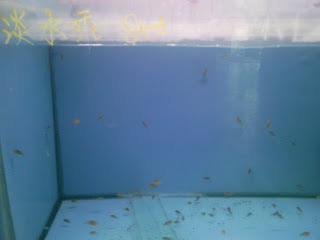 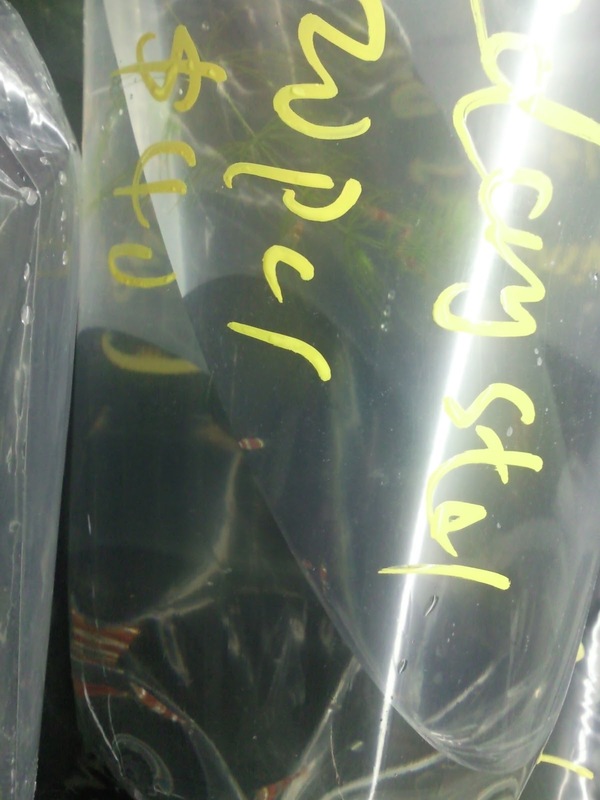 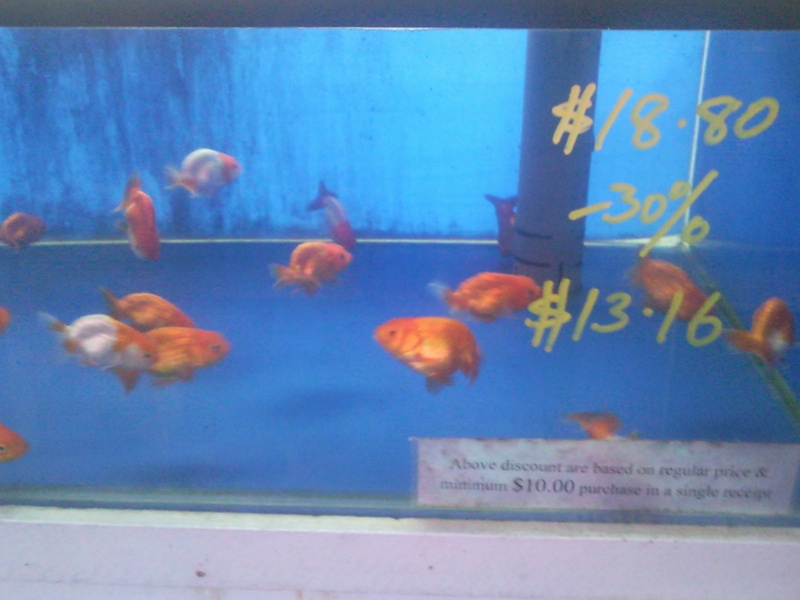 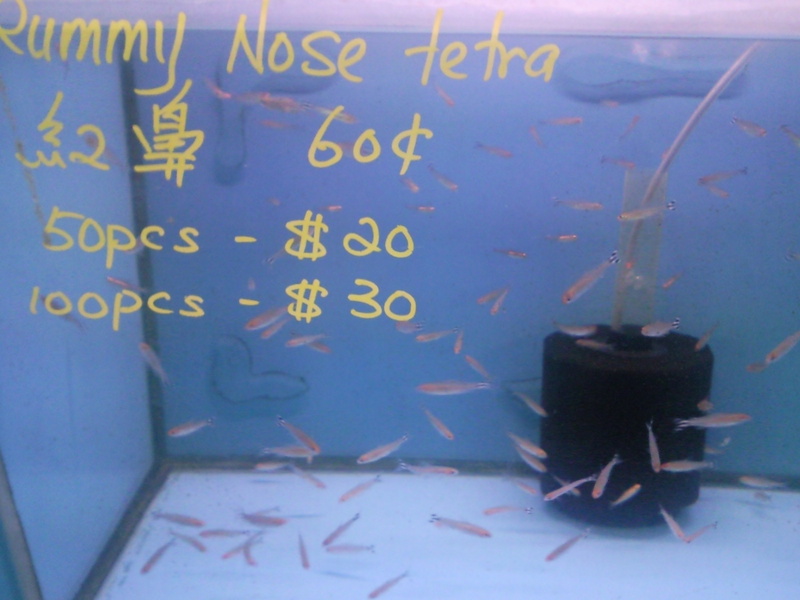 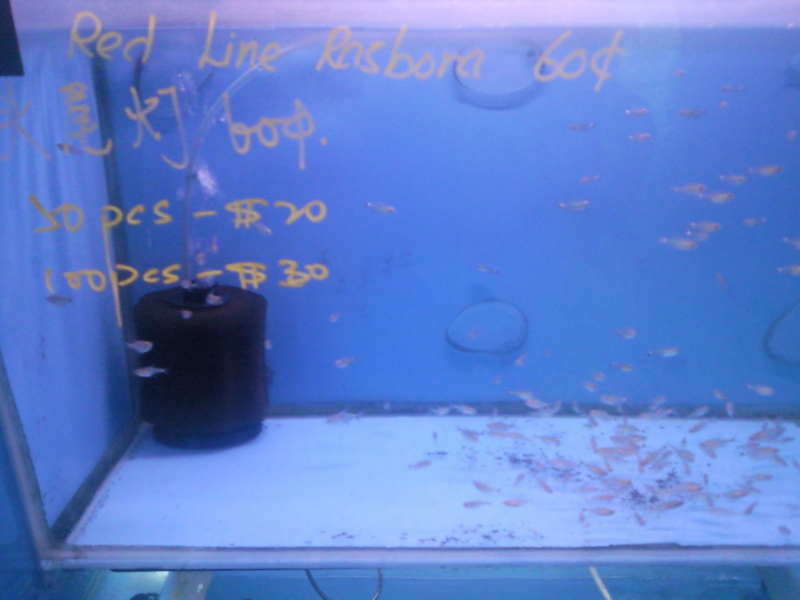 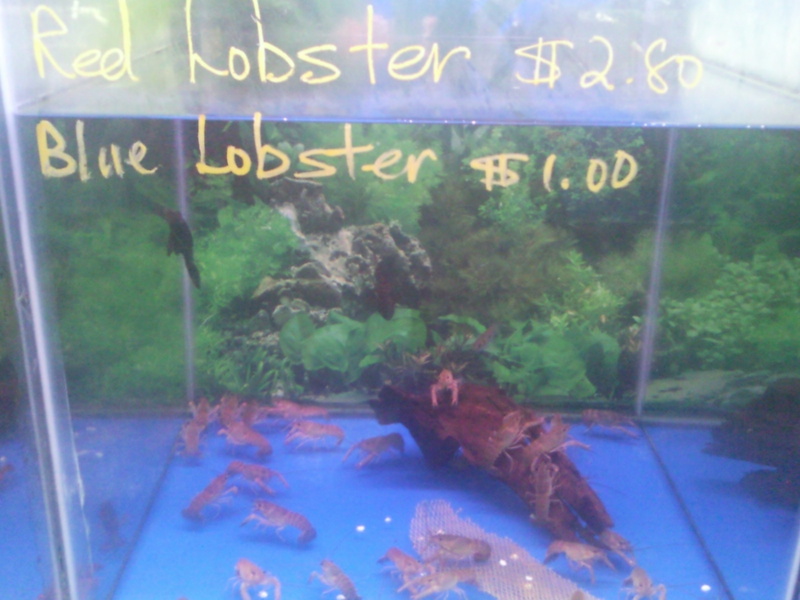 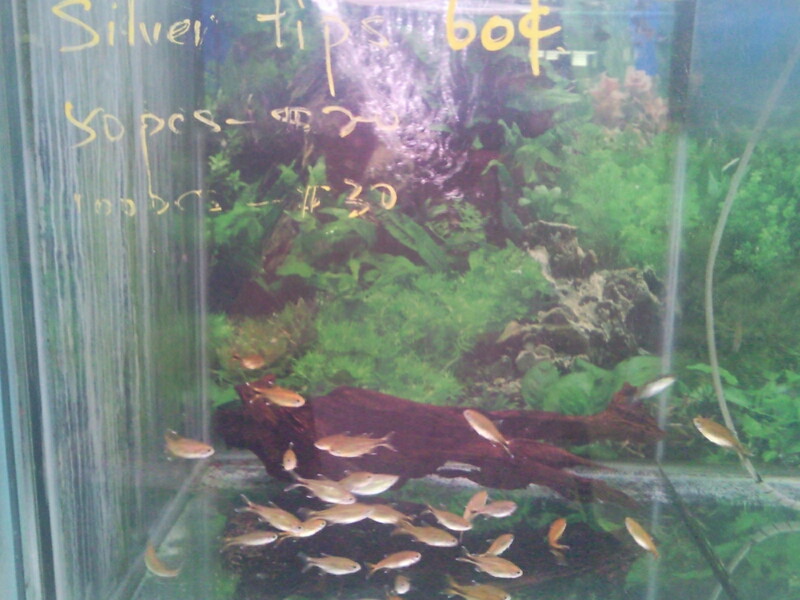 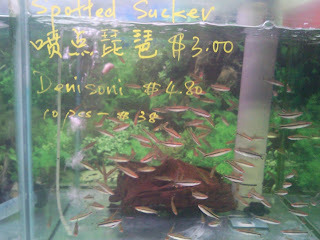 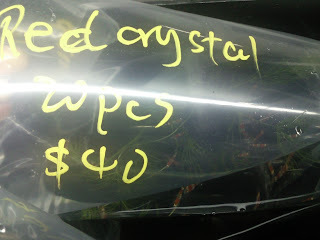 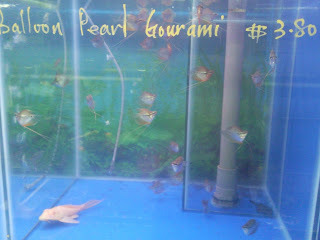 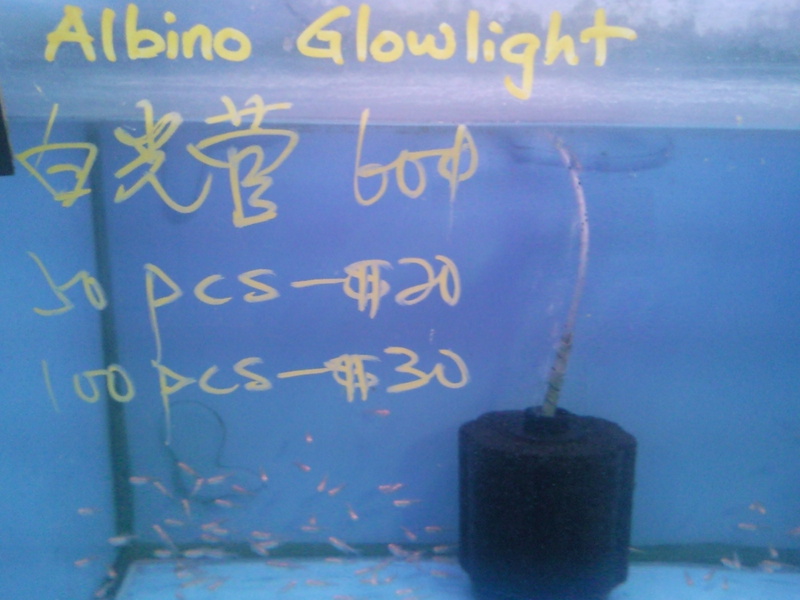 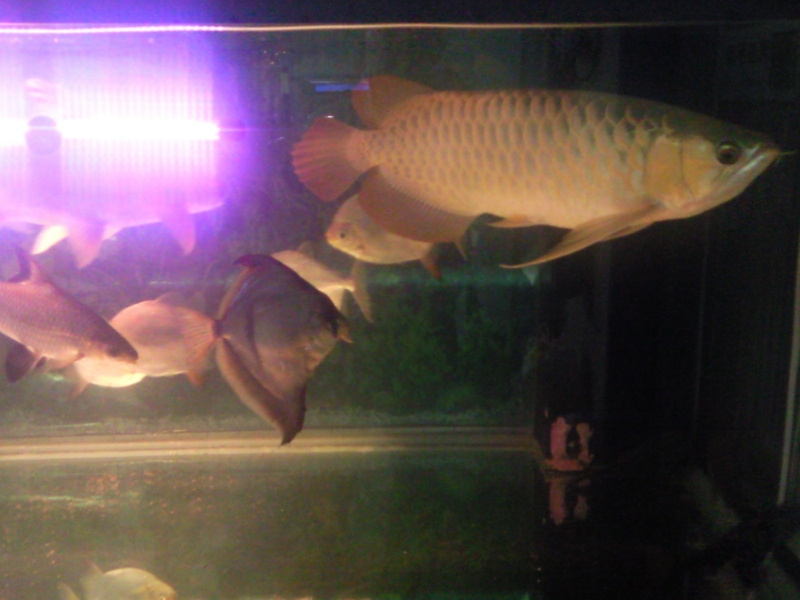 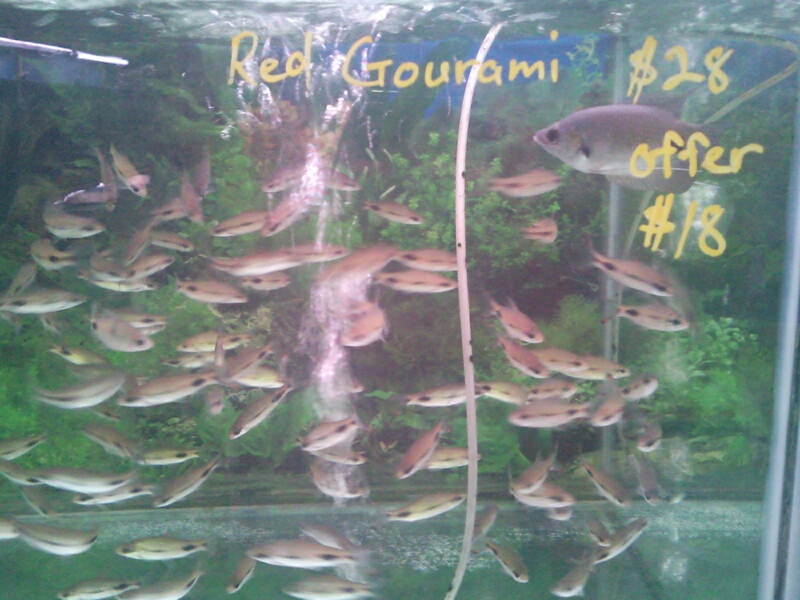 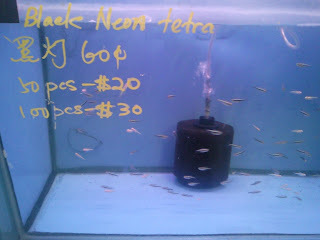 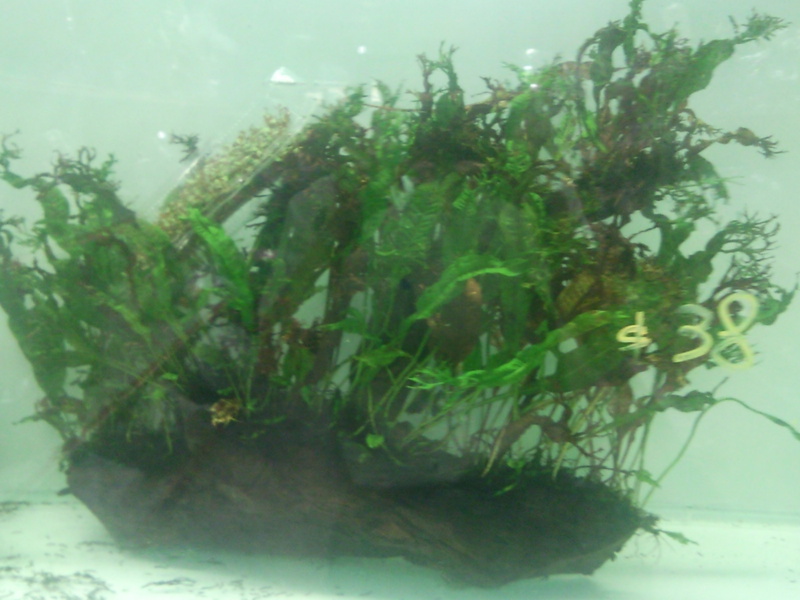 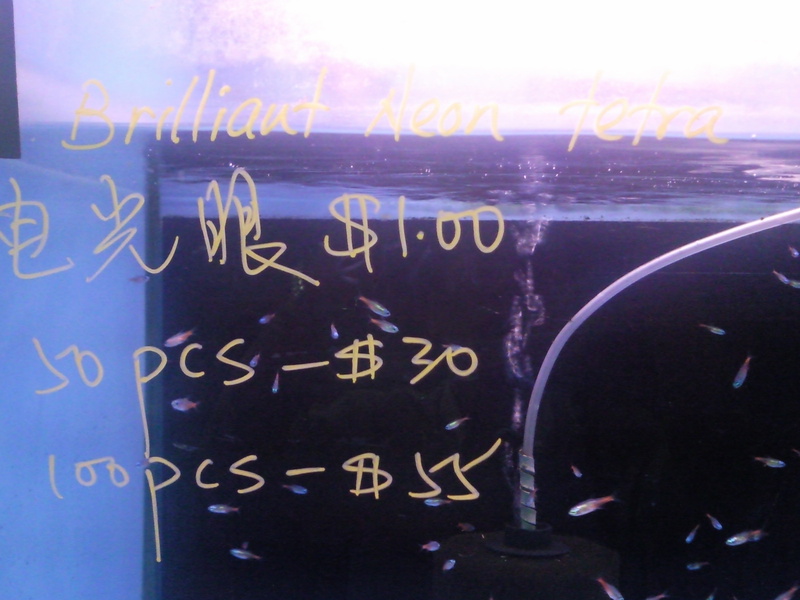 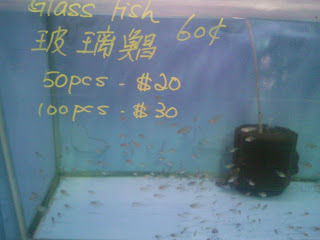 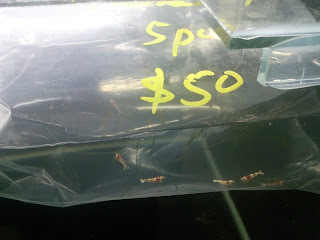 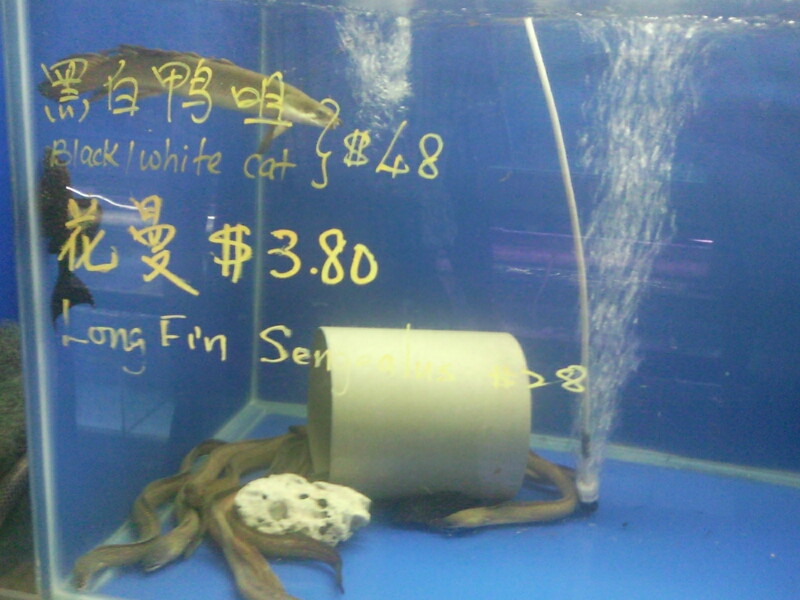 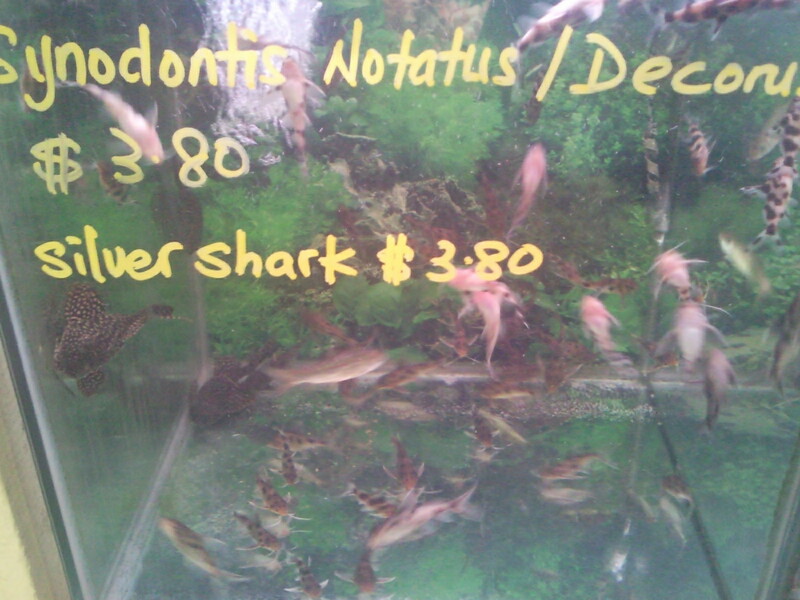 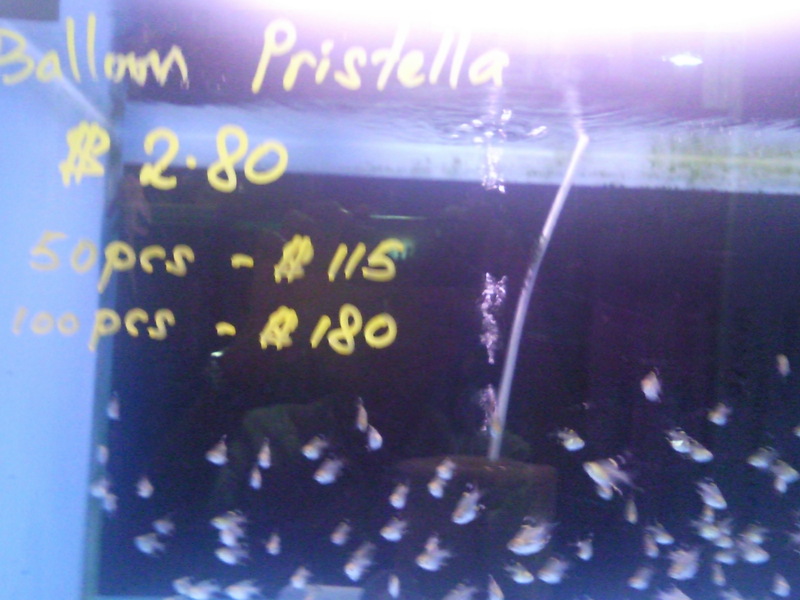 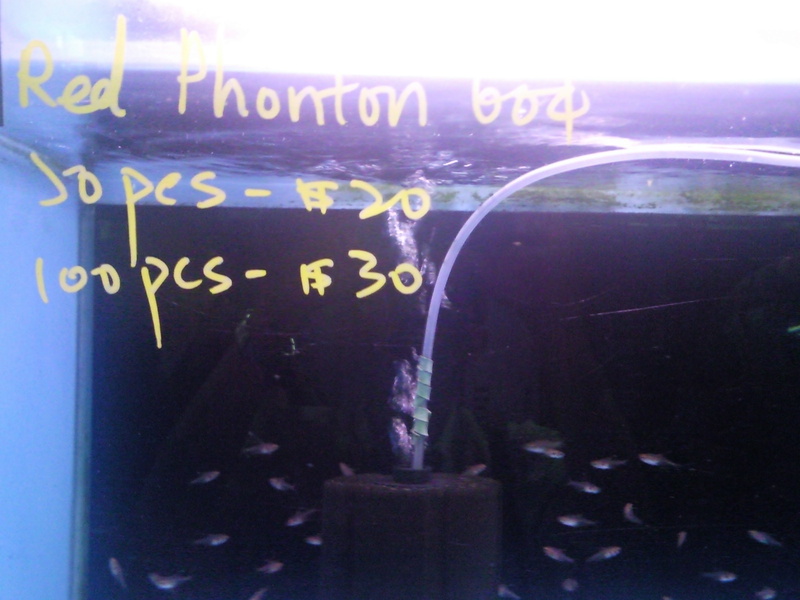 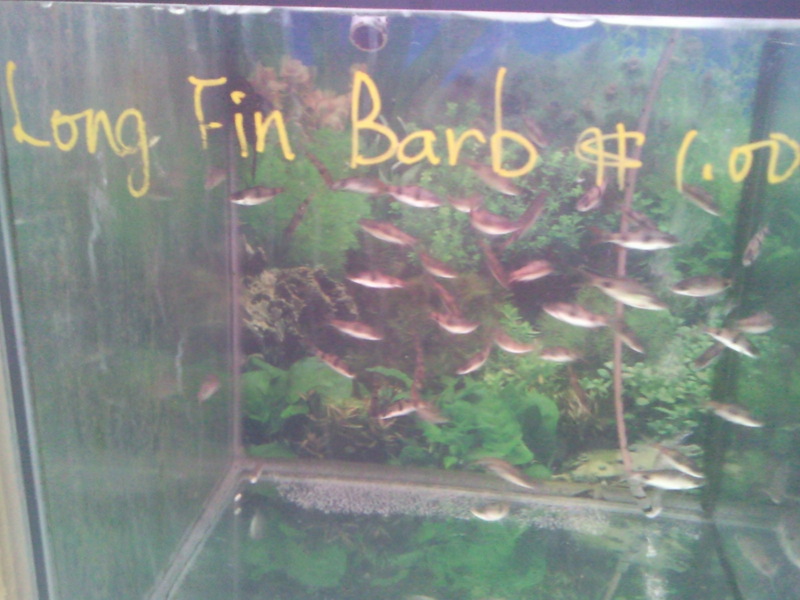 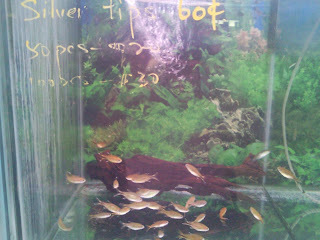 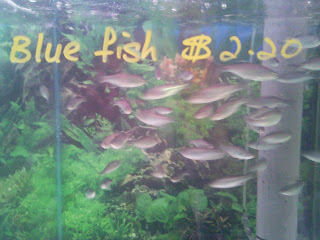 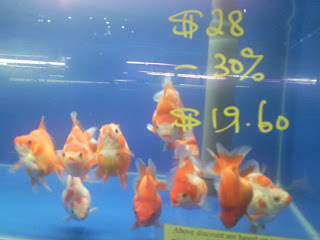 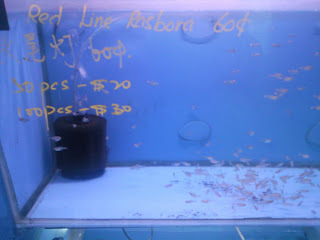 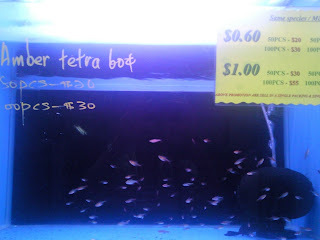 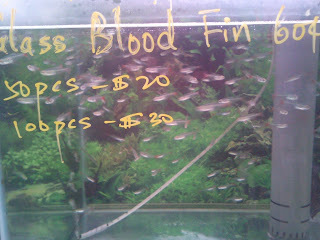 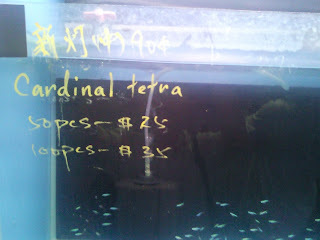 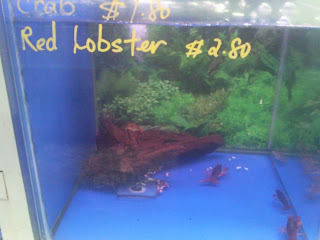 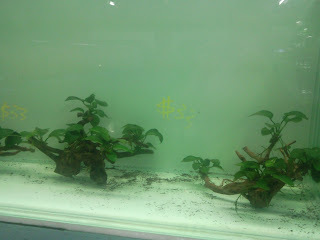 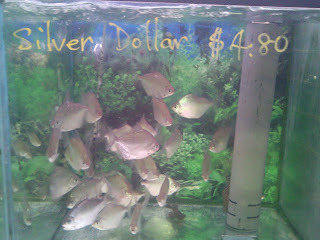 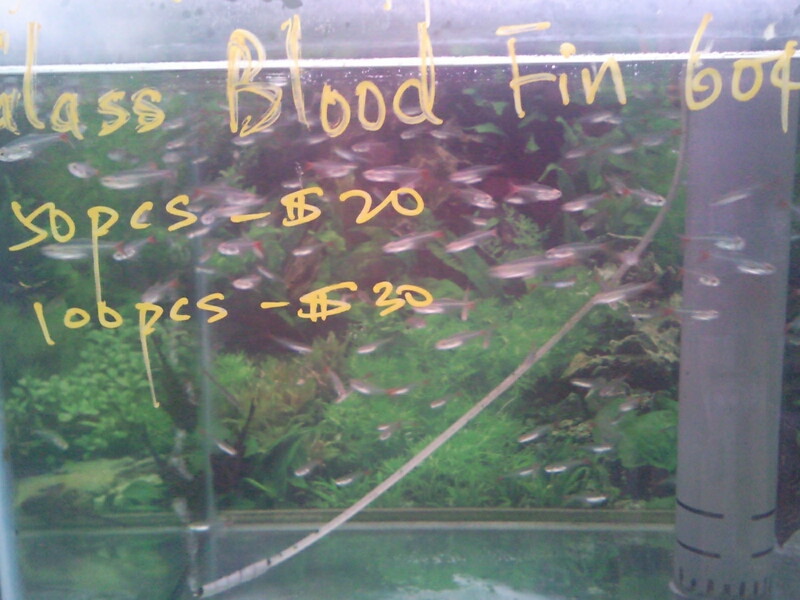 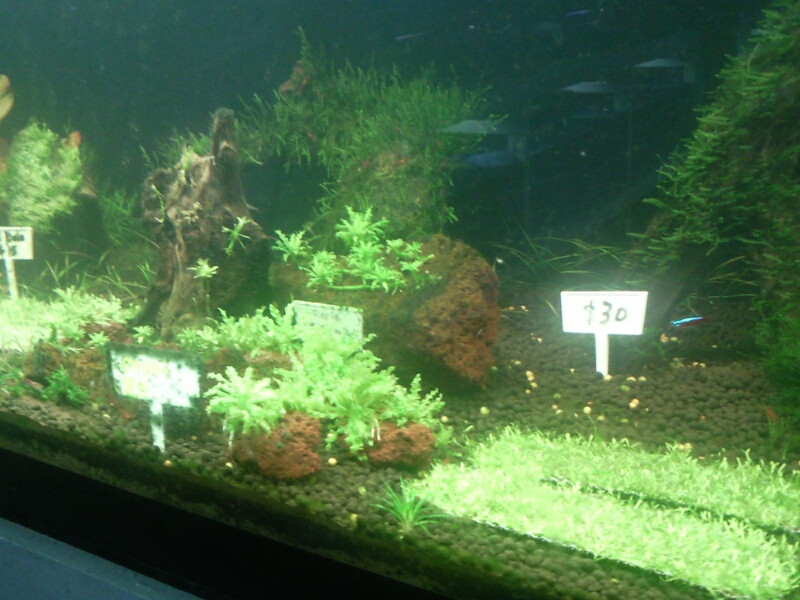 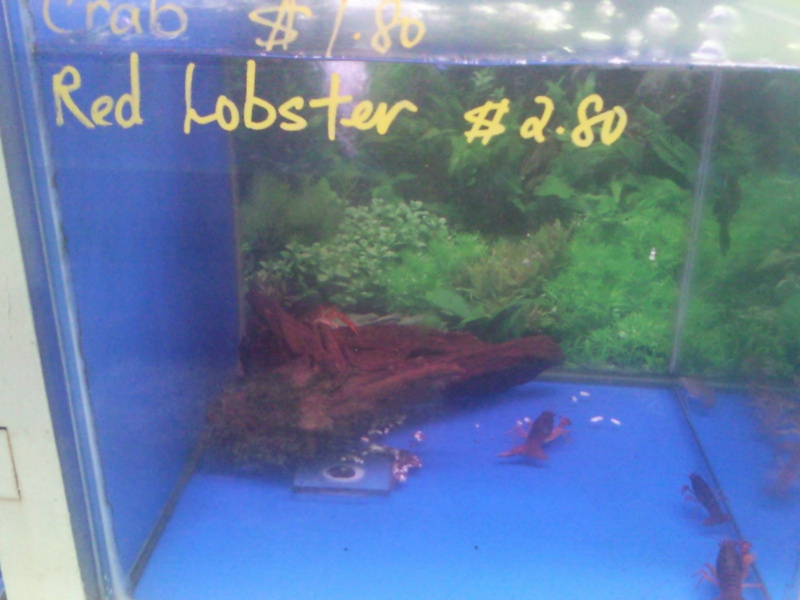 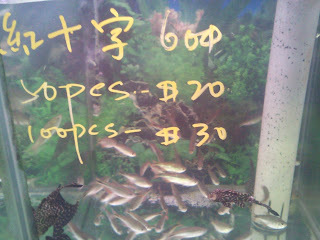 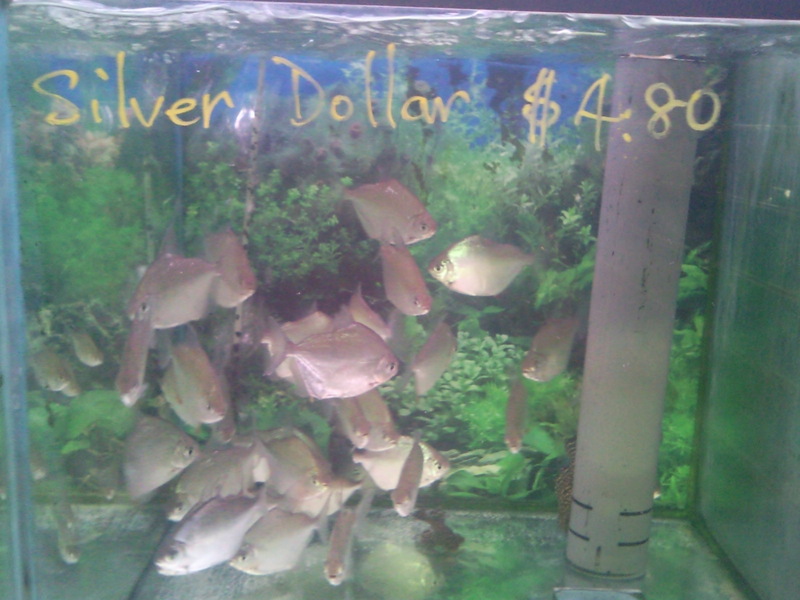 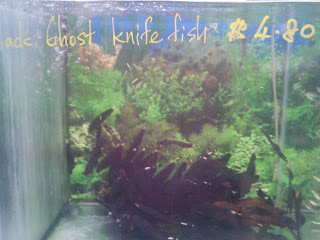 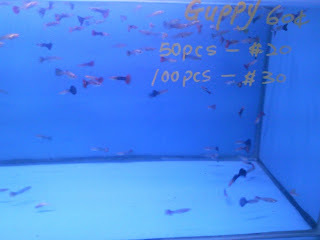 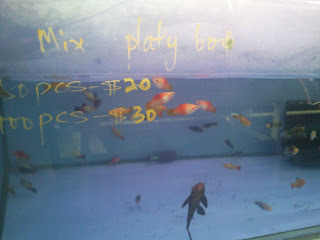 And its even much cheaper to purchase 100pcs at less than 40cents /pc, for example 100pcs Cardinal Tetras at S$35. 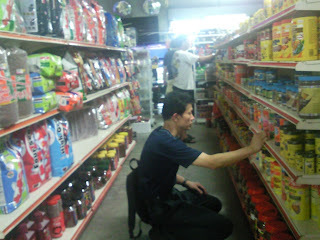 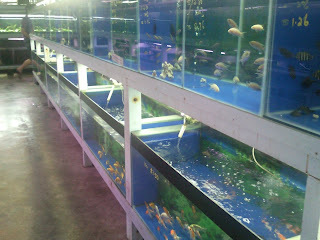 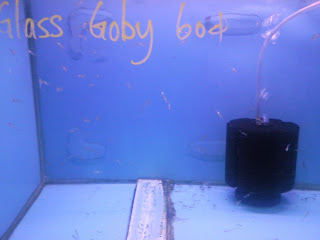 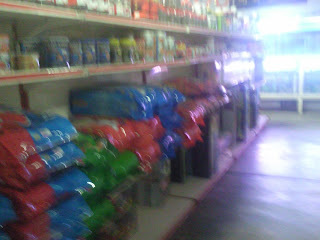 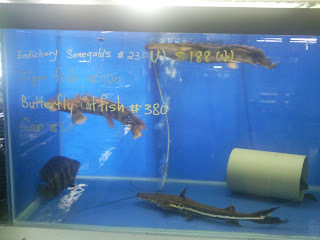 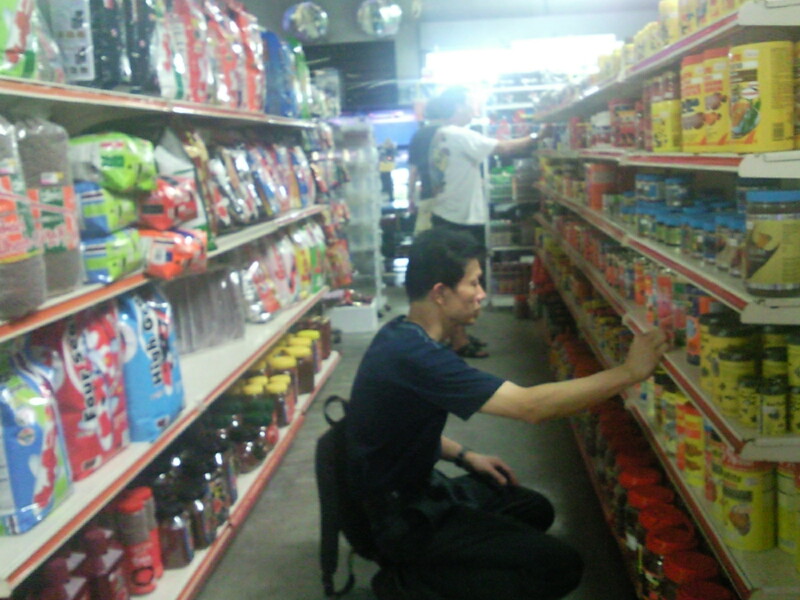 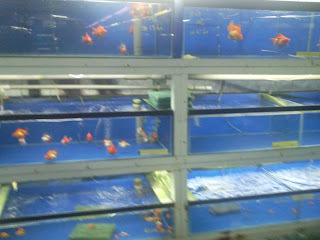 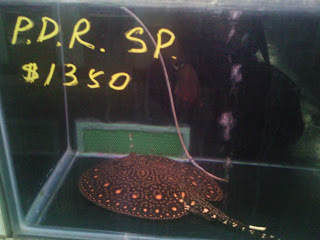 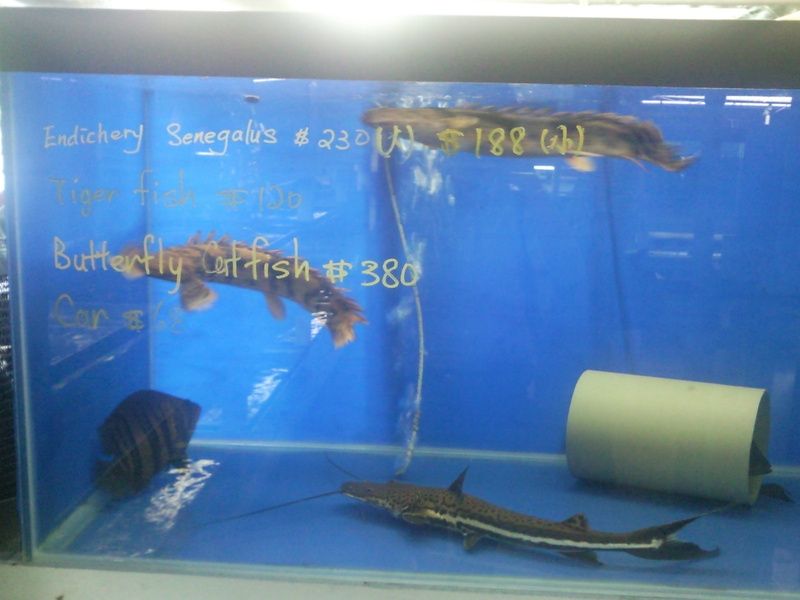 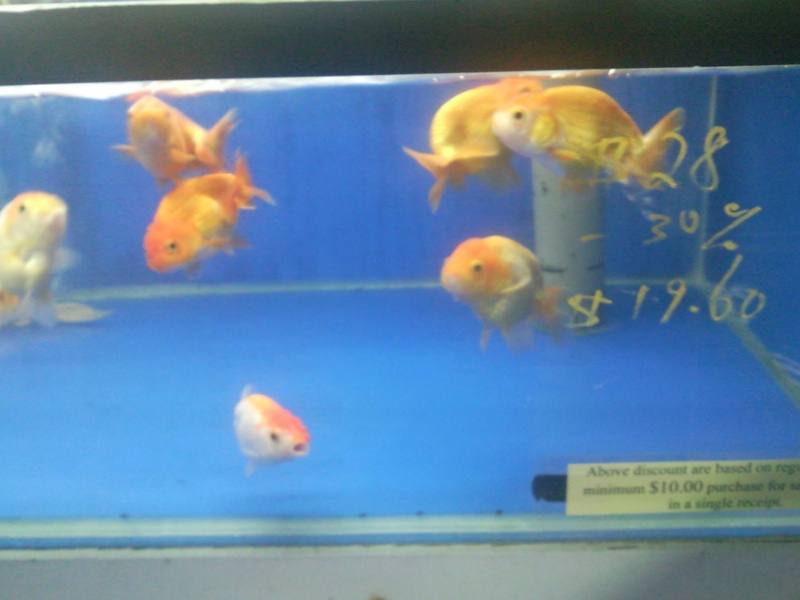 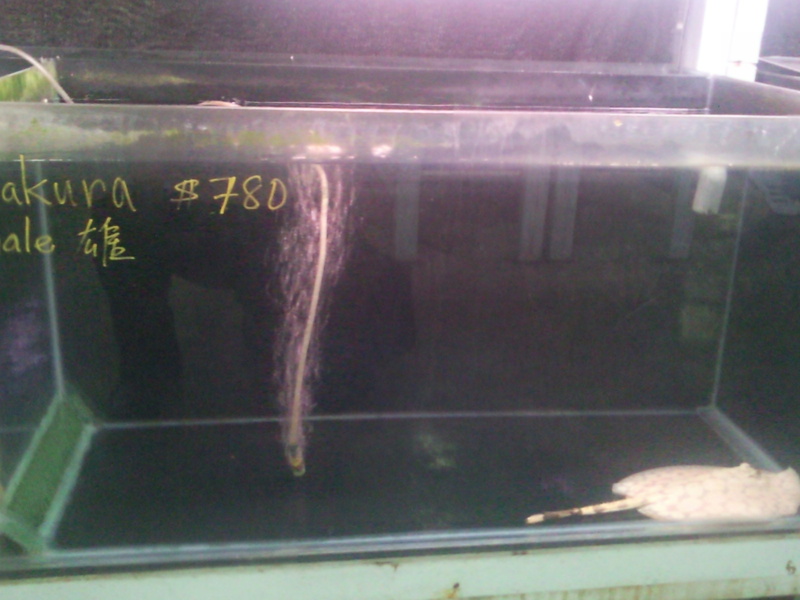 However the prices of goldfishes, fish food and equipments have to be improved as its a bit steep. 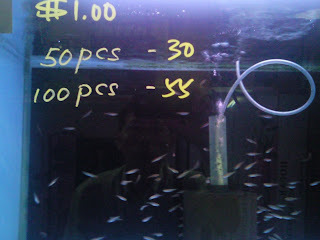 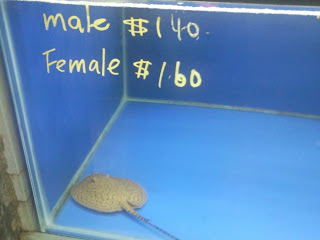 We can get cheaper at a lfs elsewhere. 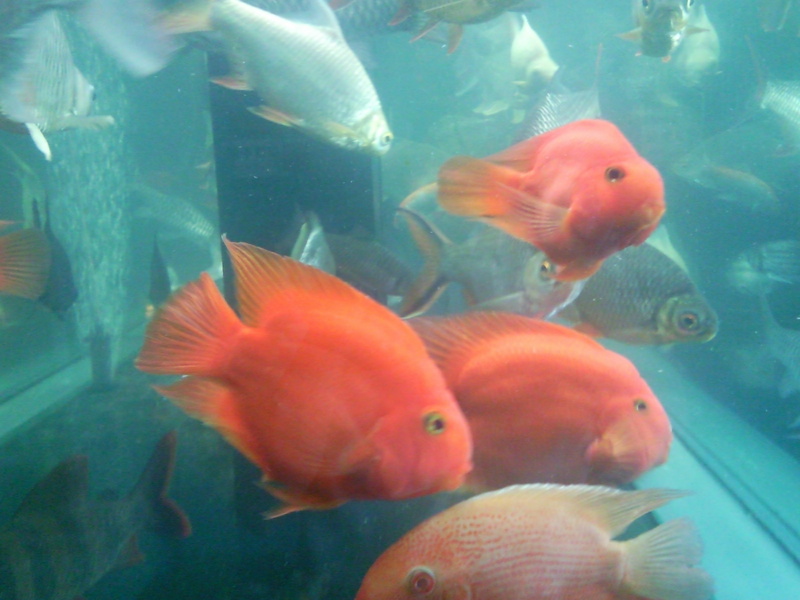 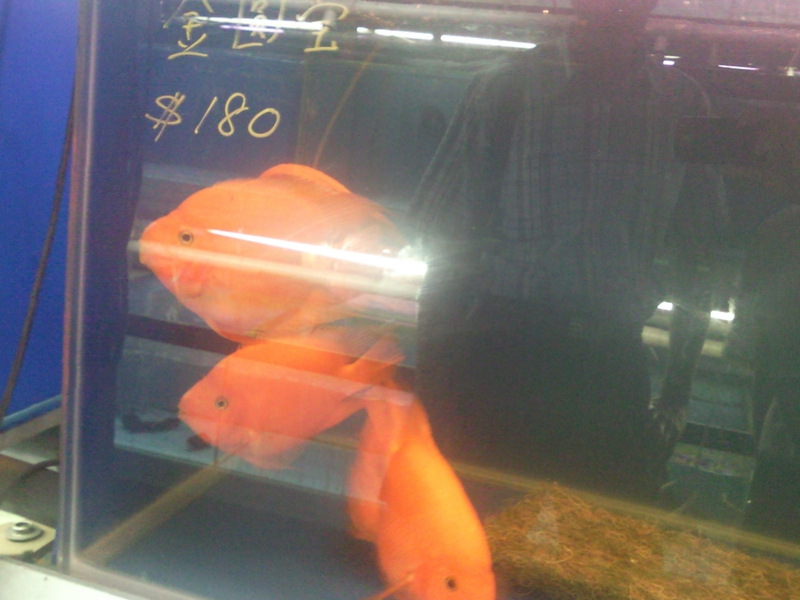 For example, a small Ranchu at Seaview costs around S$5 where i can get one much handsome looking Ranchu at S$2 at C328 and TetraBits Complete fish food costs around $8 here when I can get it for S$6 in C328. 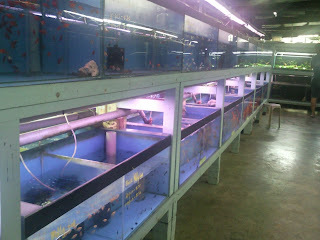 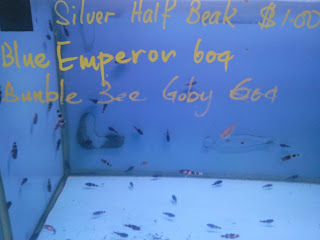 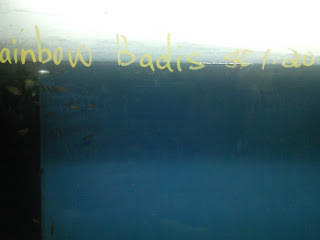 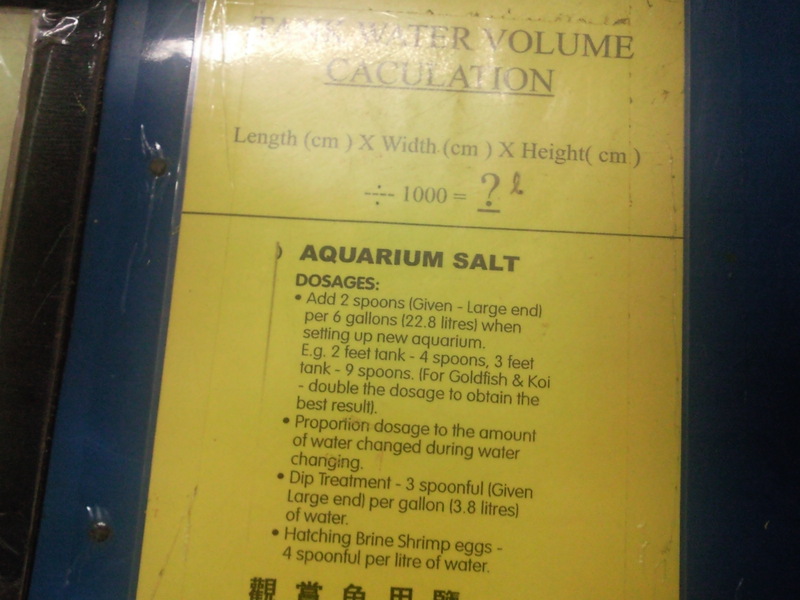 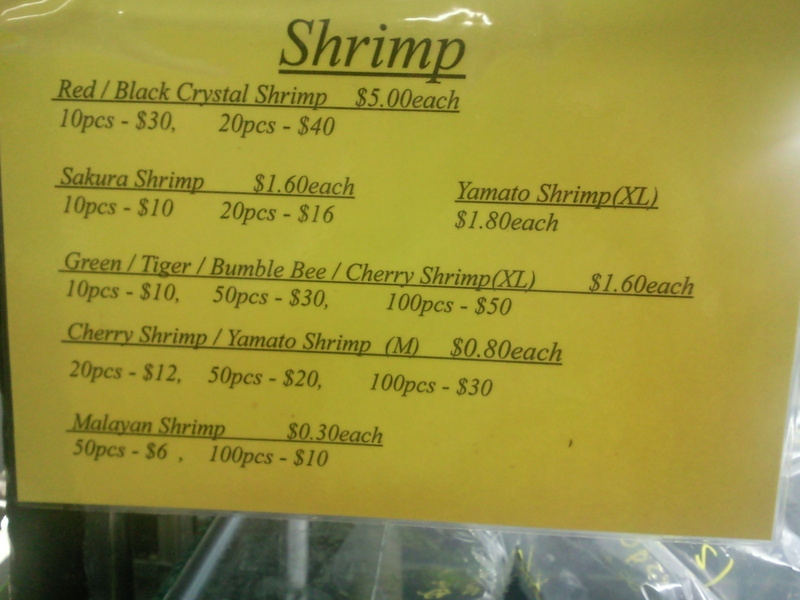 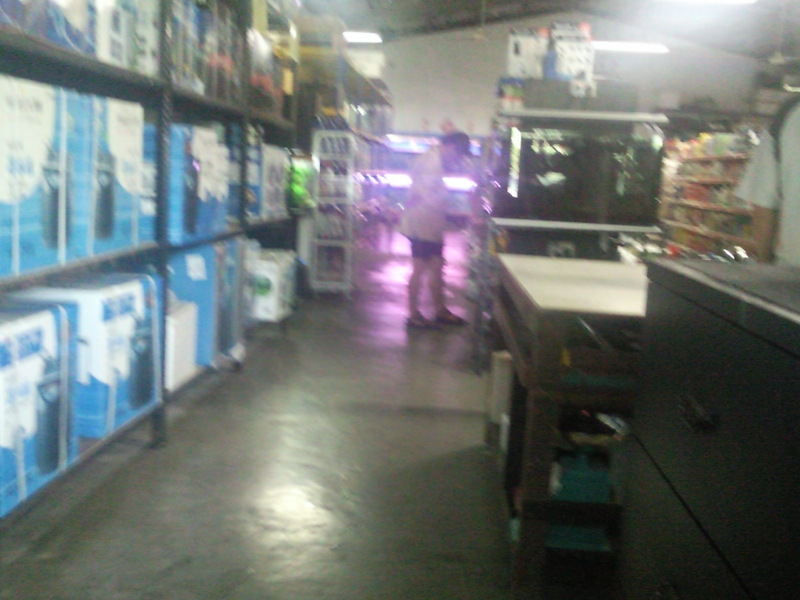 Before leaving and after excitetedly paying for my 50pcs of Malayan Shrimps, we went and checked out the prices of the 4ft custom-made fish tanks with the reception lady - i believe she is the one who gave me the bus directions. 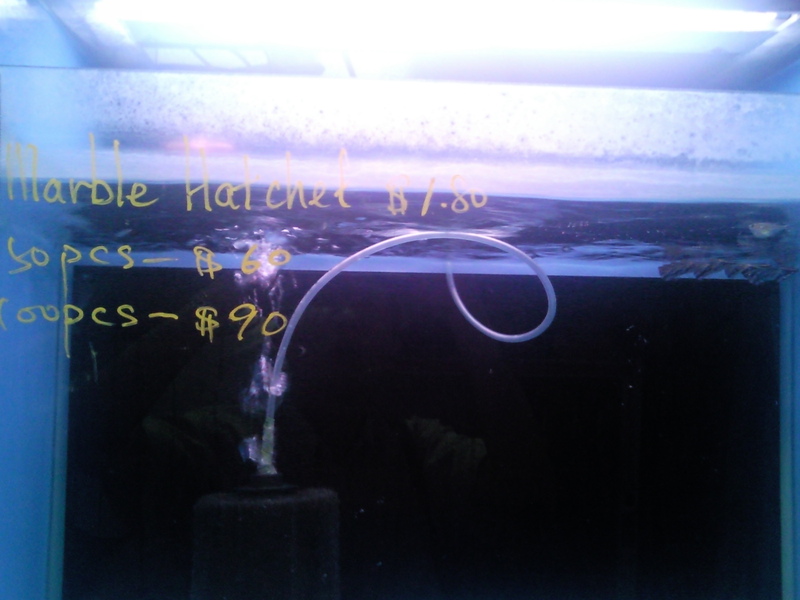 Quite surprisingly, for us to make a 4ft tank, it only costs slightly less than S$350 and some more comes with wrought iron stand and includes S$50 transport. Best of it , it only takes 2 weeks to make one. 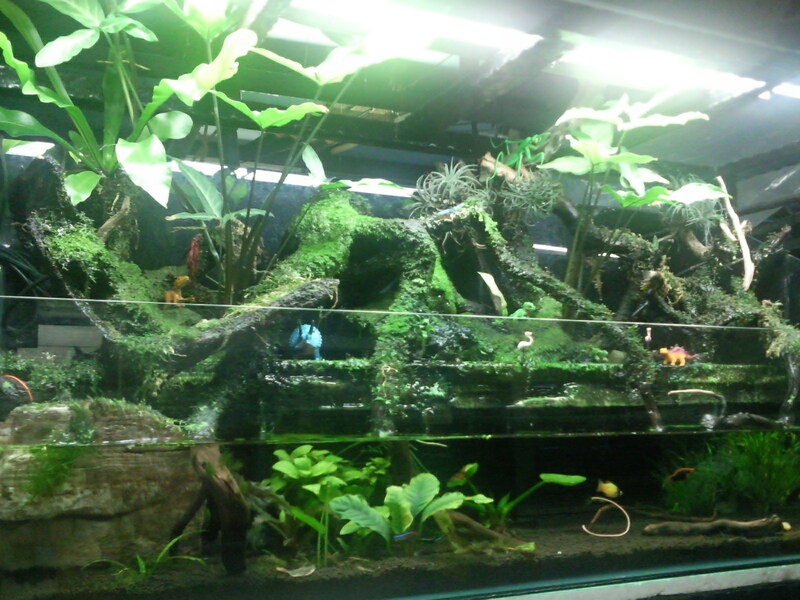 My retiree friend finally found a cheaper altenative to make a 4ft low fish tank there after getting Cpf money payout next mth. 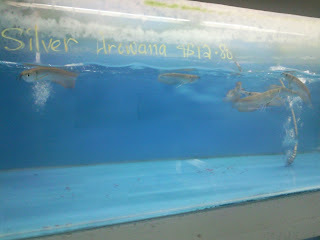 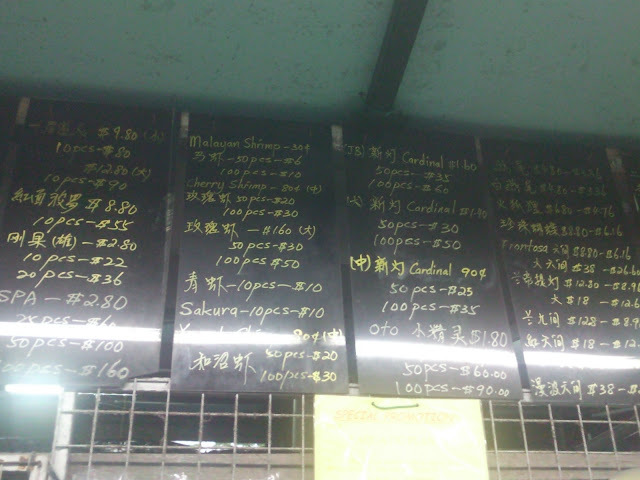 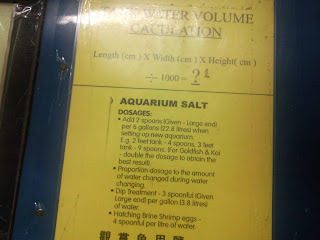 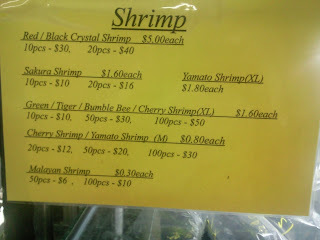 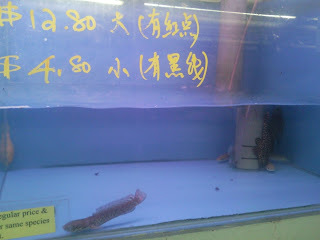 We enquired at Qian Hu and they quoted us at least $1000 which we felt its slaughter n cut-throat price... lol ;-D.
But alas! 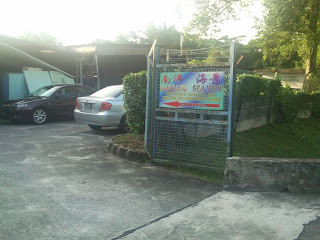 We have to take a S$18 taxi at Yio Cho Kang Mrt back to Jurong due to a back pain past injury of his. 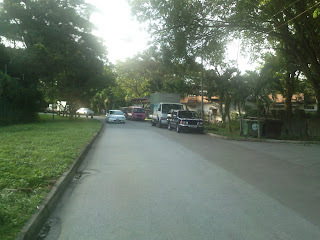 The taxi journey was a happy smooth one as the cabby was chatting away about his family's trip to Universal Studio in Sentosa and his taxi business. The cabby also briefed us on current taxi's peak hours charges: Mon to Fri: 7am-930am, Fri-Sat: 5pm to 8pm (no morning peak). 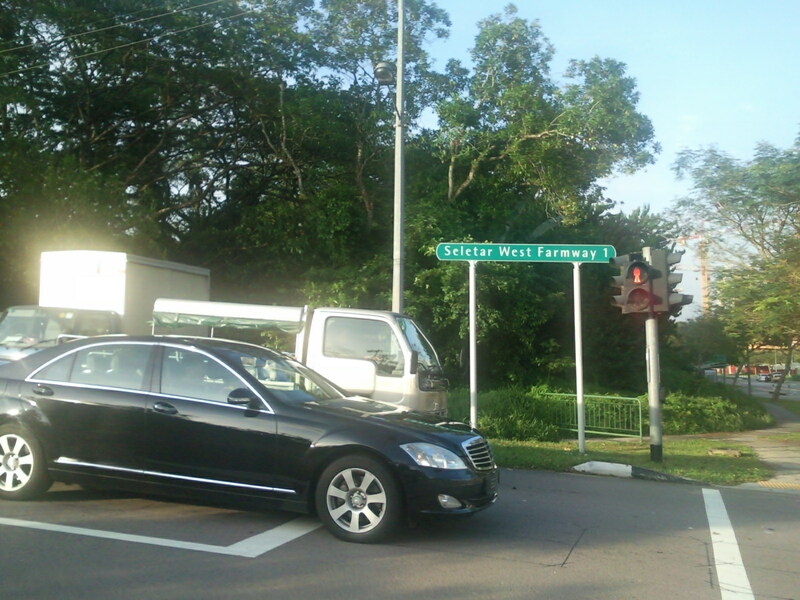 For CBDs passengers, add S$3 to go in and F1 race add S$2, on-call add S$3.50. But he mentioned he won't drive in even pay him extra S$8 during F1 season, due to long waiting hrs and congestion around F1 places, he rather hang around in CBD area. 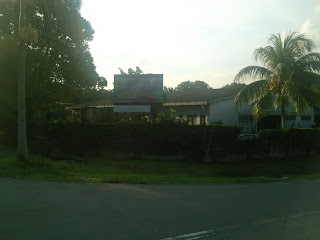 this is the ad that attracted me to make my way to Seaview, no regrets! do look out for cars dashing by you. 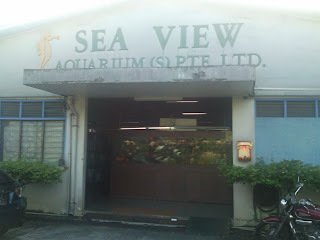 cancustome make at Seaview include transport not expensive. 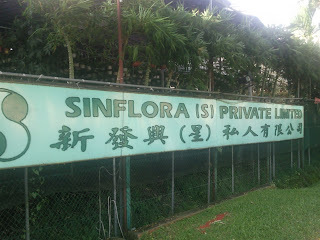 Hi is the farm still there? 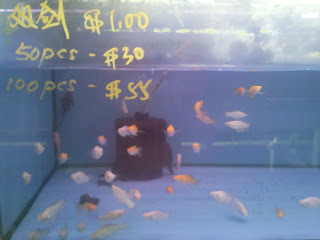 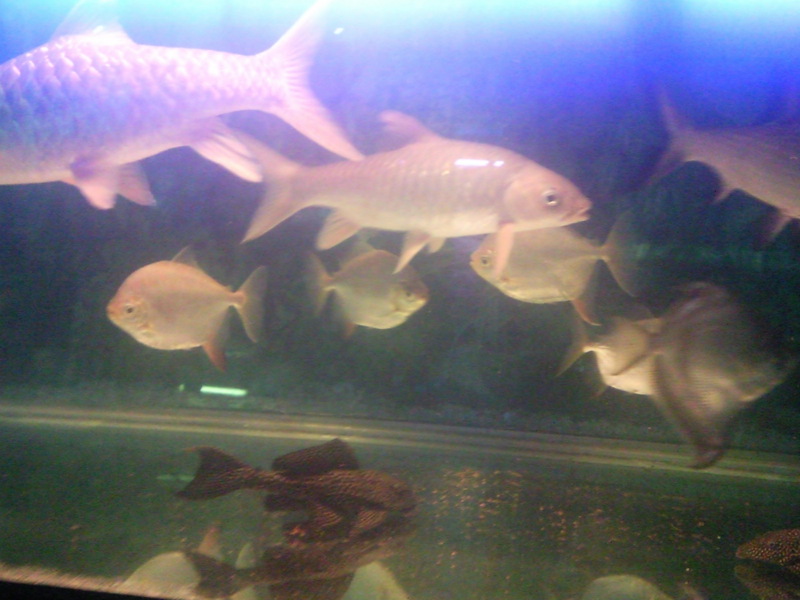 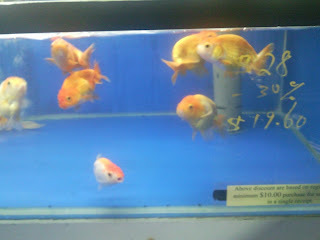 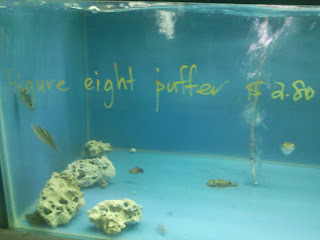 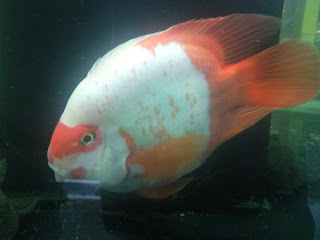 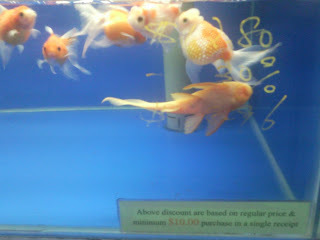 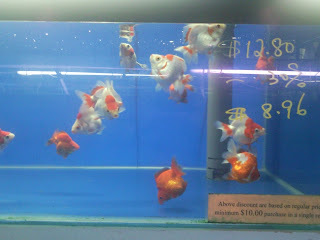 They the fish tank expensive or not?